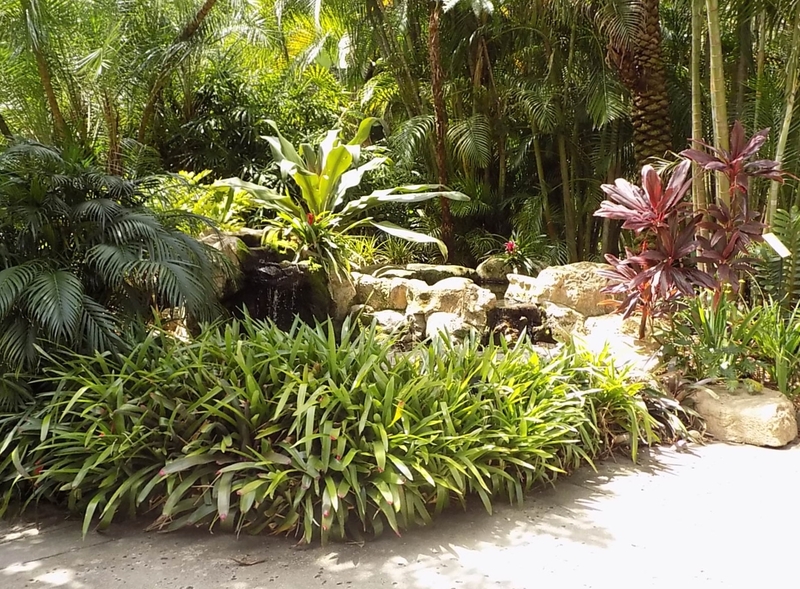 Gardens | On The Road in Florida With Idelle! 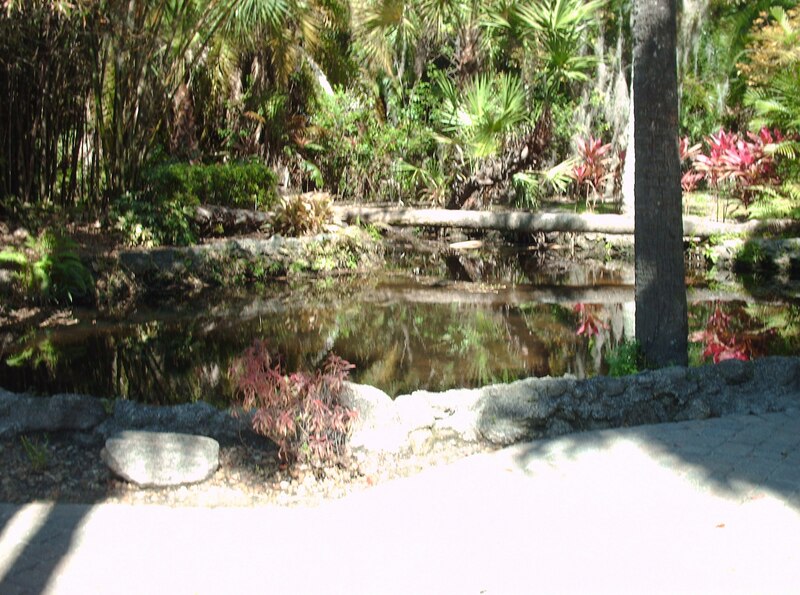 Sunken Gardens a historical landmark located at 1825 4th Street North in St. Petersburg. 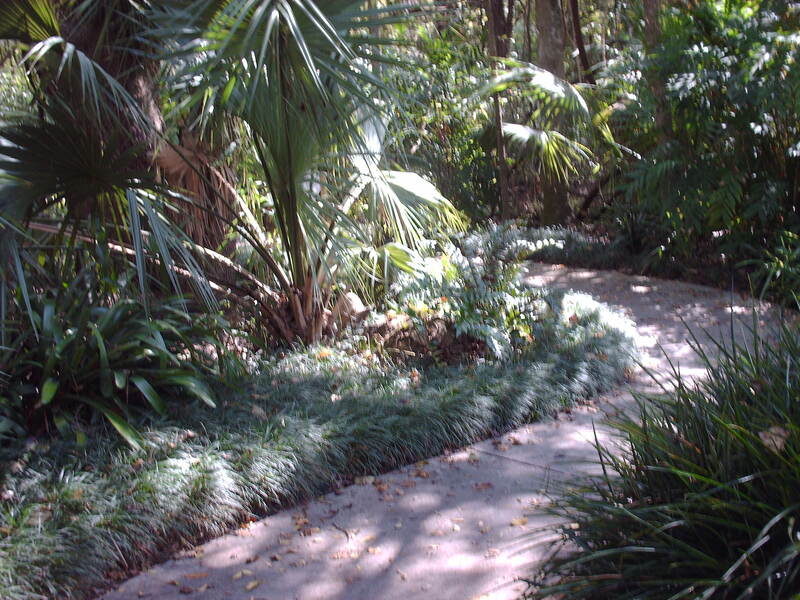 Take a map, follow the pathway around the gardens, stop and take pleasure in all that the gardens offer. 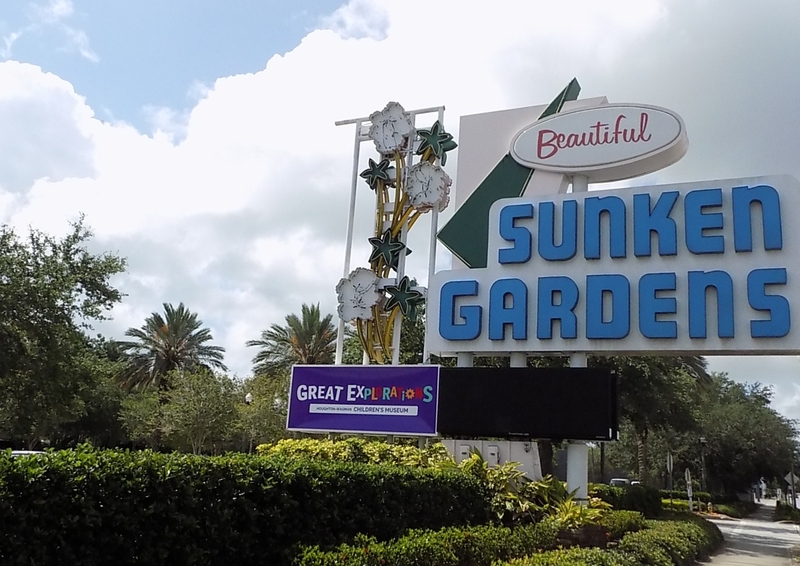 Sunken Gardens opened in 1935 to the public. 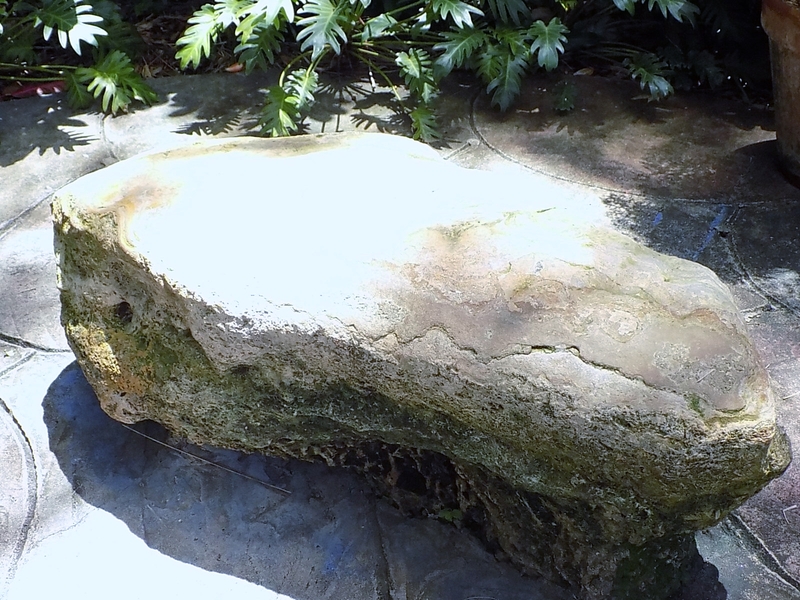 When George Turner bought the property, he drained the shallow lake and found the growing stone a fossilized limestone rock, which is on display at the gardens. 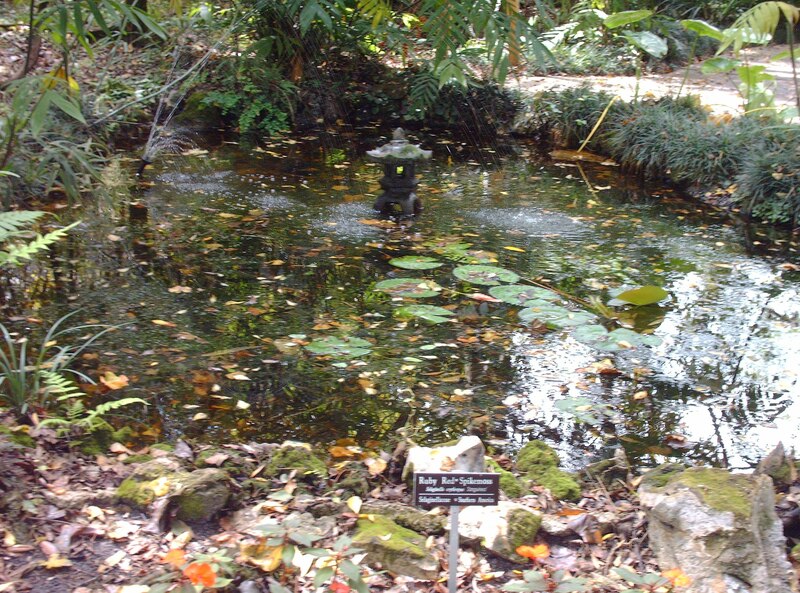 Lillypads surround the Koi Pond. 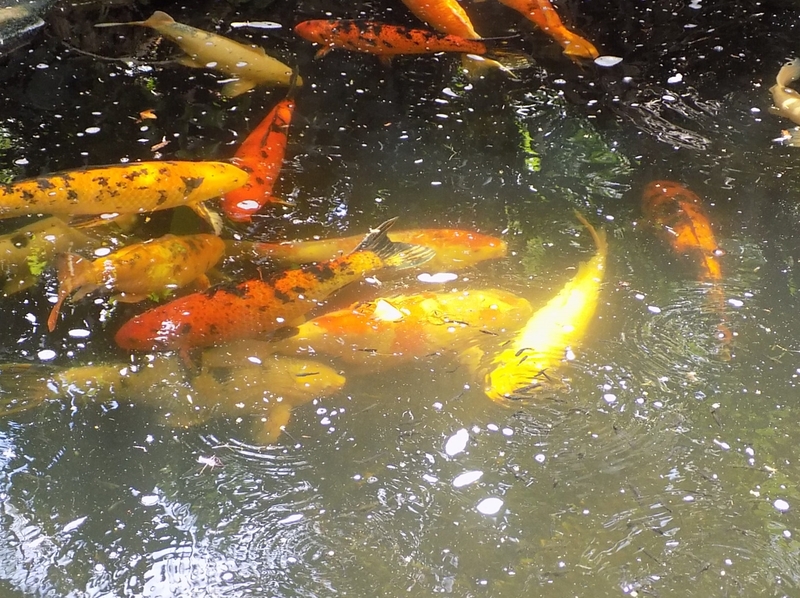 The Japanese started raising Koi in the seventeenth century. The fish can live up to 50 years but some reported to be 100 years old. The Balloon Milkweed Plant comes in green and white flowers. The Dutchman’s Pipevine a tall vertical vine in brown sparkled with yellow that grows up to 30 feet both attract the Monarch butterfly inside the Butterfly Garden. 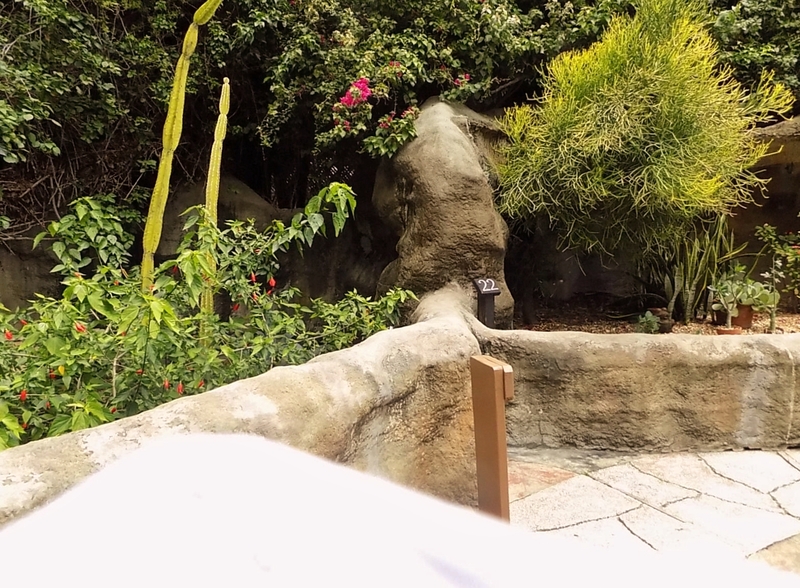 Even though butterflies were in flight in the butterfly garden, I wasn’t able to capture any butterflies on camera. 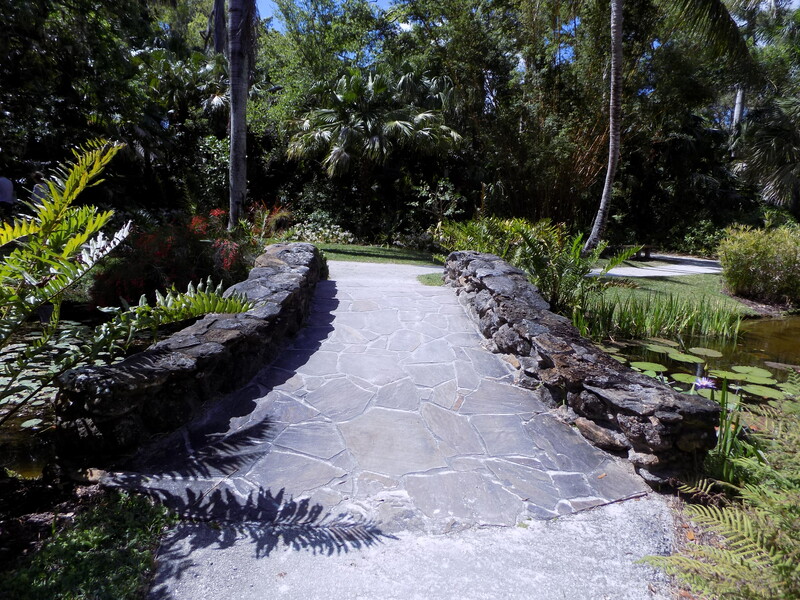 Walk along the winding pathway and under trestles surrounded by beautiful foliage while admiring the fountains, ponds and waterfalls. 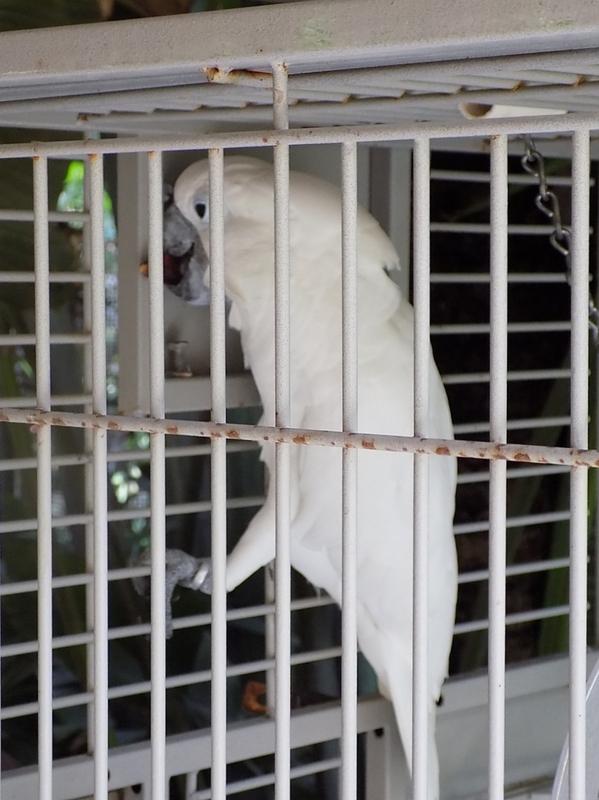 Different species of exotic birds reside in the gardens. Chilean Flamingos, Umbrella Cockatoo native to Australia and Macaw Parrots native to Central and South America. 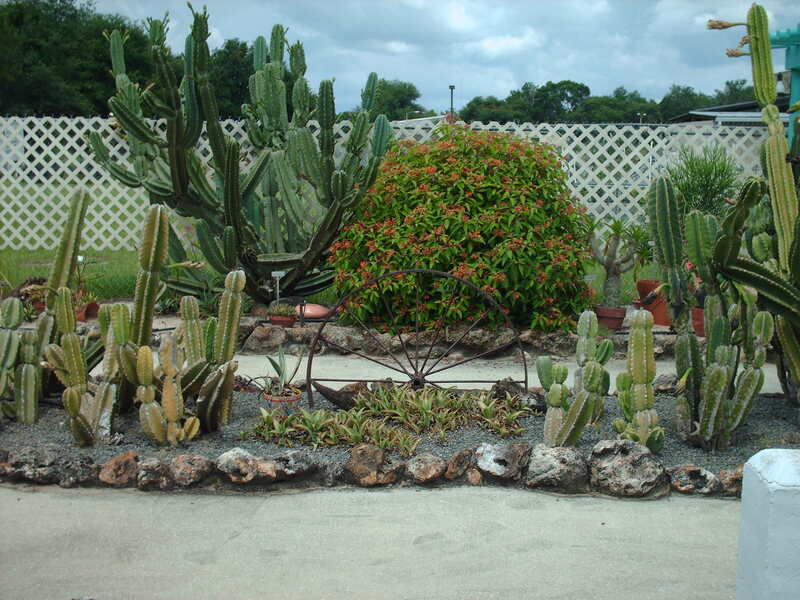 Cacti and other succulents surround the elephant sculpture in the garden. Plan a wedding on the North Lawn, stand at the arched bridge a great photo opportunity. 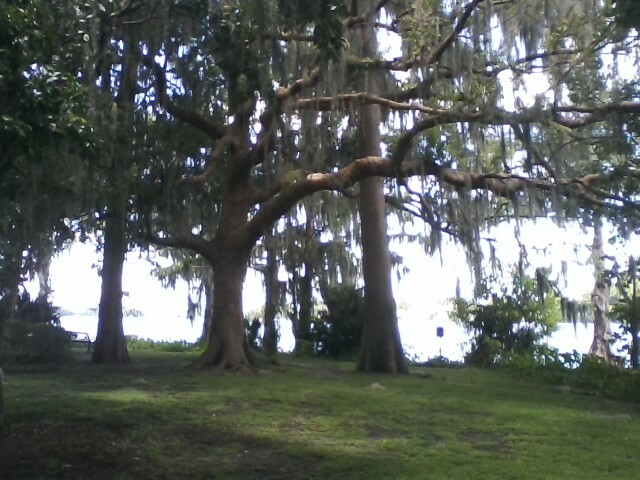 I recommend the gardens, so much beauty. Admission prices, hours of operation on the website. McKee Botanical Garden situated on eighteen acres listed on the National Register of Historic Places located at 350 US Highway 1 in Vero Beach. 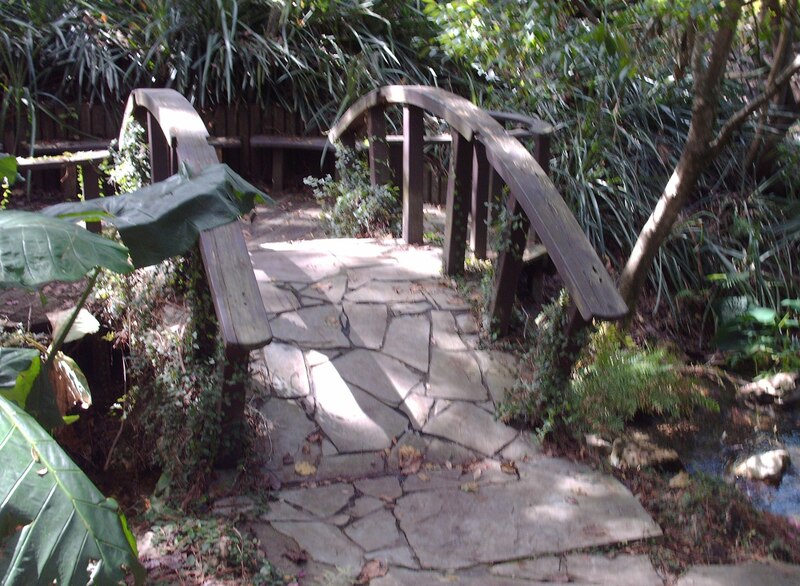 Walk across the Historic Stone Bridge to the trails, wooden bridges, paths, ponds and streams that surround the garden. 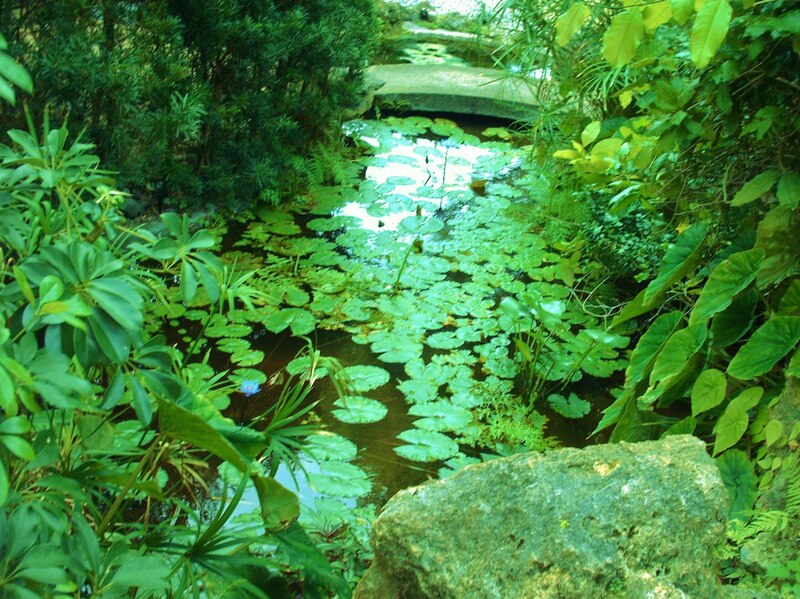 Stand at a bridge, look down at a stream and admire the many different varieties of Waterlilies and Aquatics that inhabit them. 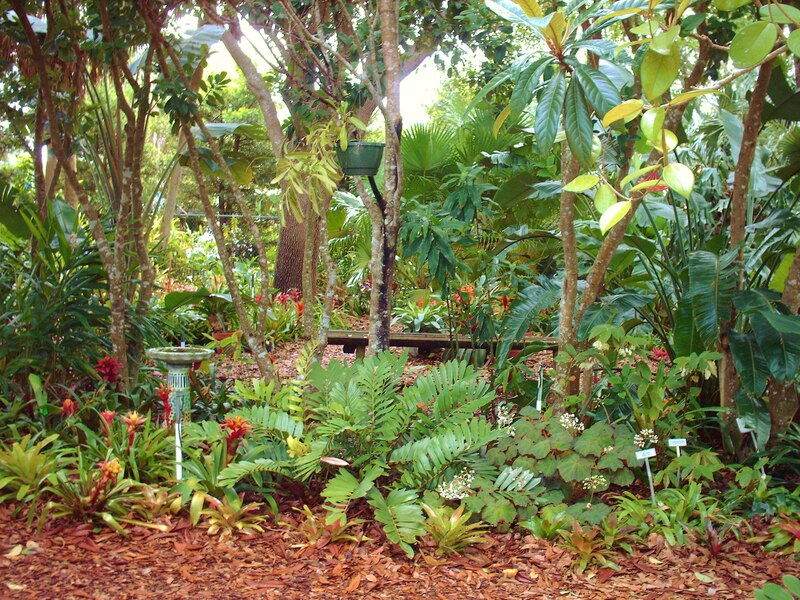 Trees, vines, shrubs and herbaceous plants provide a canopy throughout the garden. 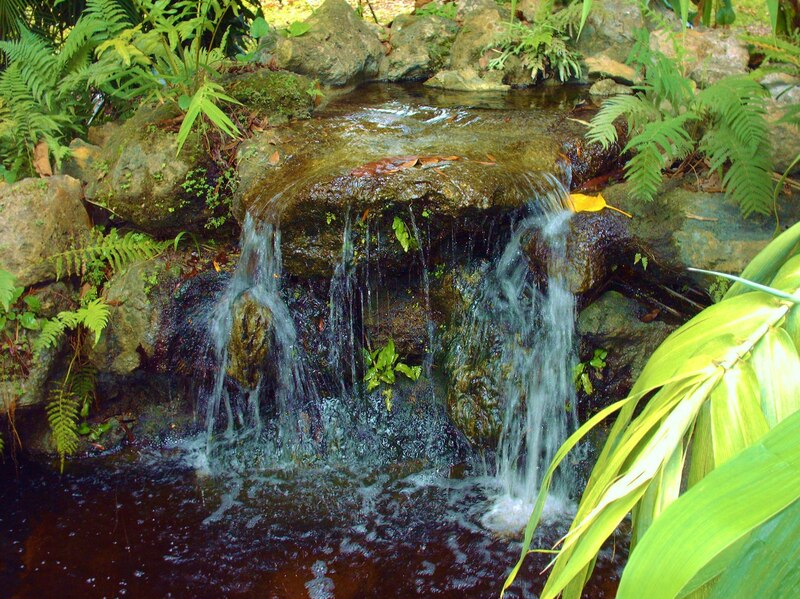 Relax on a bench and enjoy the serenity and calming sounds of a waterfall. Take shelter from the sun under a thatched roof rain shelter. A film and poster displays about the early years inside the Hall of Giants. 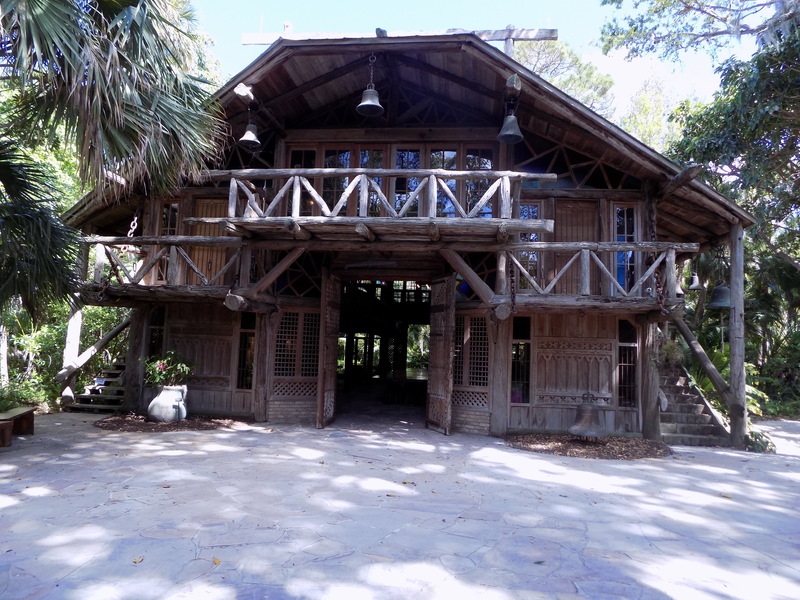 Arthur G. McKee and Waldo Sexton, both industrialists had a vision to open an attraction that gave people an opportunity to see the many different plant species from around the world as well as the many wild animals that made up the jungle gardens. 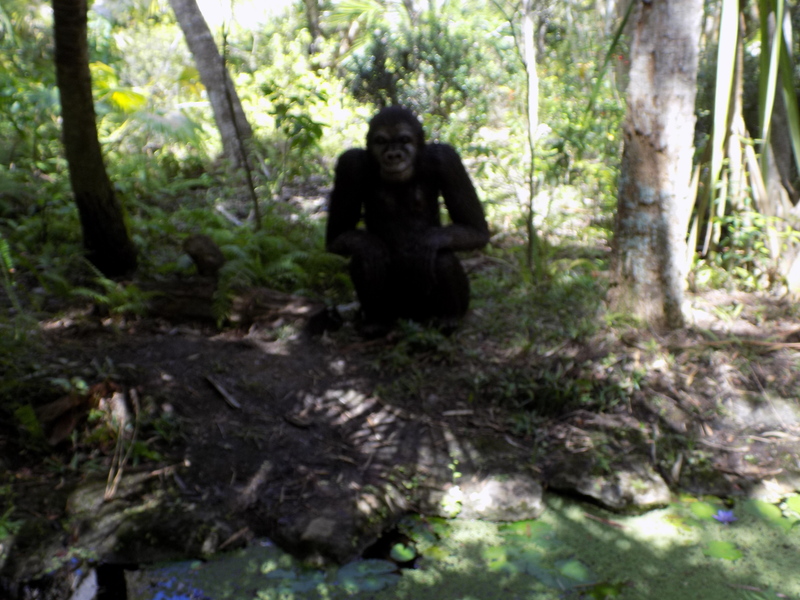 McKee Jungle Gardens an eighty-acre tourist attraction opened in the early 1930s. Due to low attendance, the park closed in 1976. 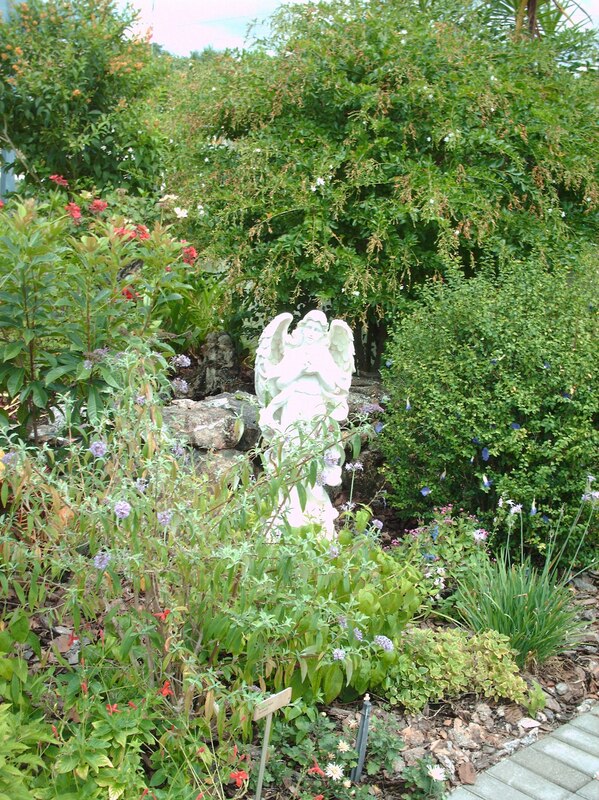 The garden opened in 2001 after a fundraising campaign to buy the land and restore the garden to its former beauty. A temporary exhibition through April 29th of this year includes twenty-four African Animal Sculptures created by the Art Collective in Nairobi, Kenya. African artists trained in all forms of art by Moses Ochieng. 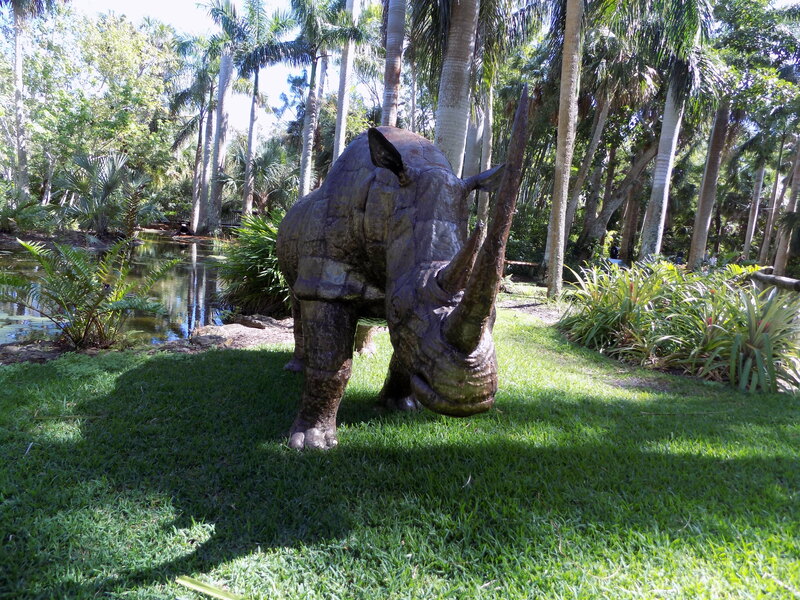 Animals throughout the garden described in detail through interpretive exhibits. 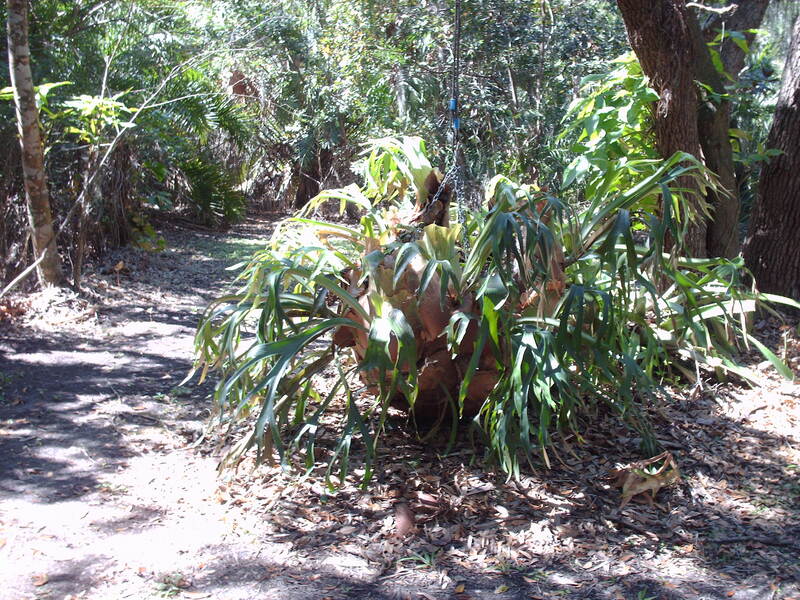 Edible fruit from Brazil, tropical plants from Asia, a Dragon Tree that originates from India whose root looks like a Dragon’s tail. 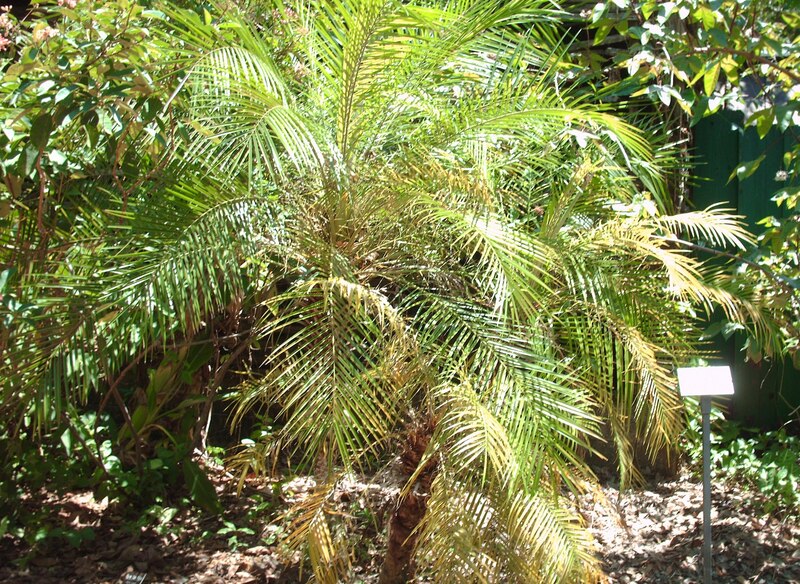 Royal Palms native to Florida, Cuba and Honduras. 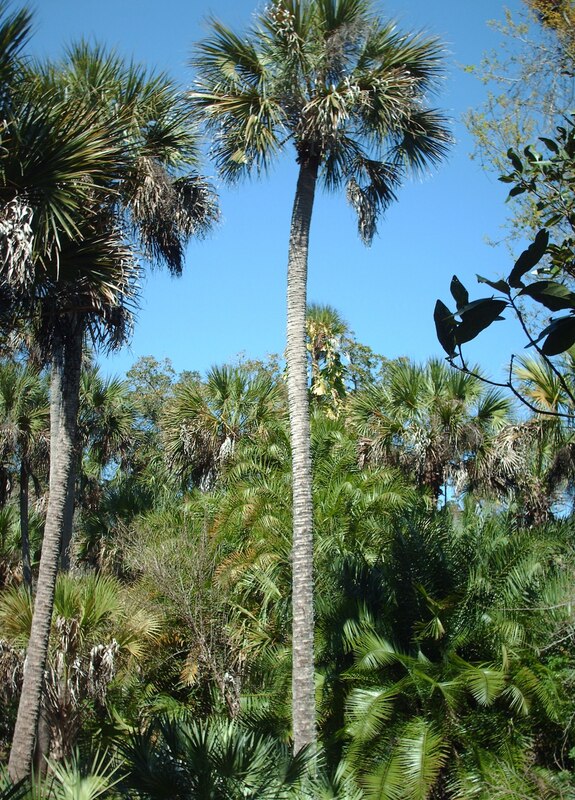 The palms grow to one hundred feet that are the tallest in the world. 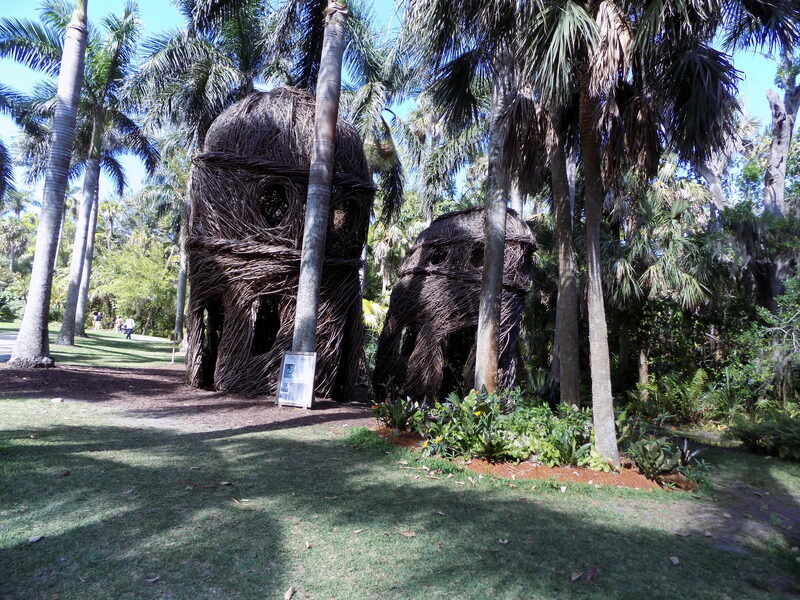 Stickwork Sculpture named The “Royals” by Patrick Dougherty a world-renowned artist who takes trees and twigs and transforms them into art. The “Tower” a prism made of clear glass bulbs and rods by Hans Godo Fräbel, a glass sculptor. I’ve named a few but over ten permanent landscapes are in the garden. I highly recommend visiting the garden. 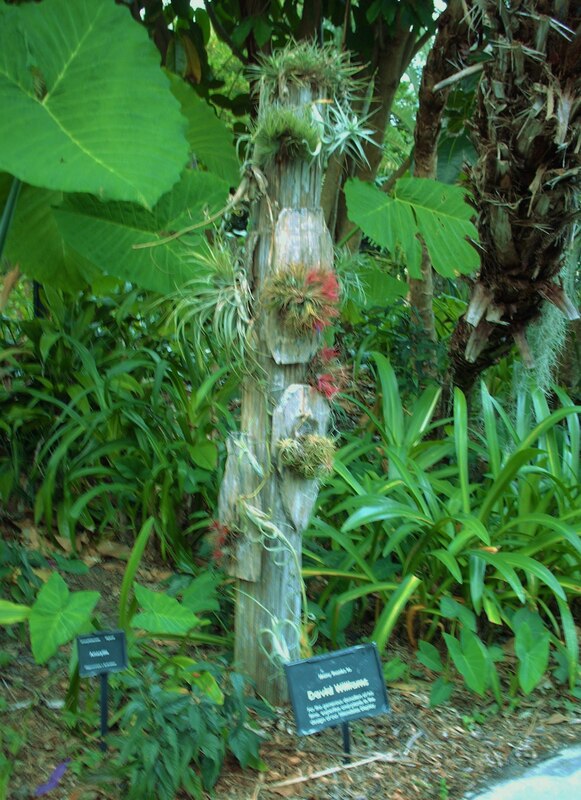 McKee Botanical Garden is the first garden that I’ve visited and written about that has traveling exhibits. Admission prices and hours of operation on the website. 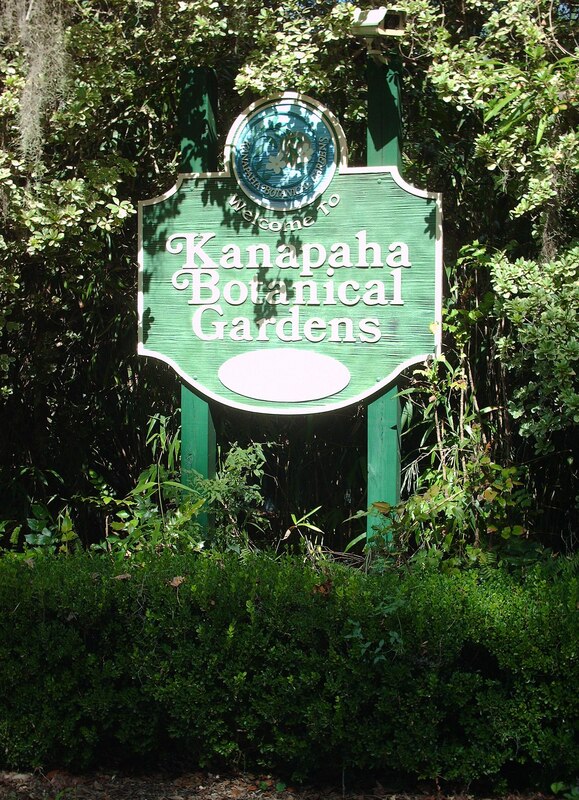 Kanapaha Botanical Gardens situated on sixty-two acres located at 4700 SW 58th Drive in Gainesville. 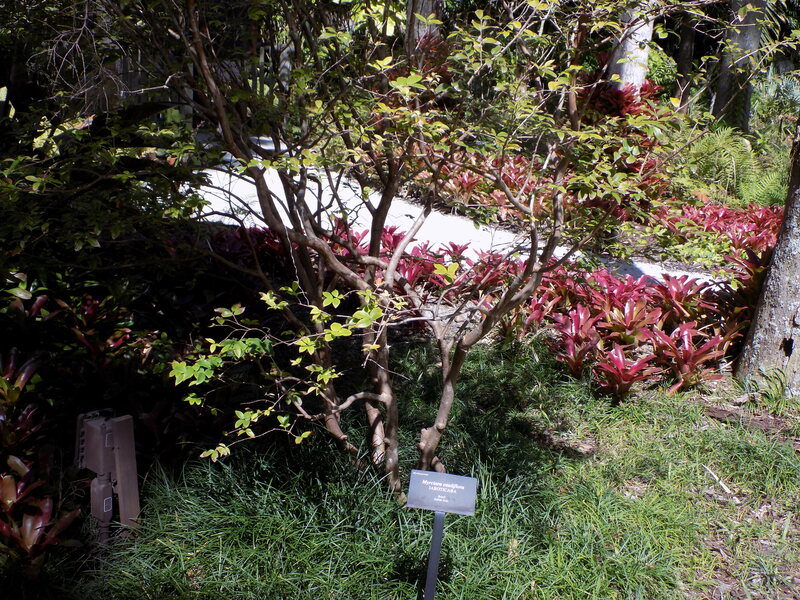 Stop and read a memory brick then look up at one of the tall bamboo trees along the walkway to the entrance garden. 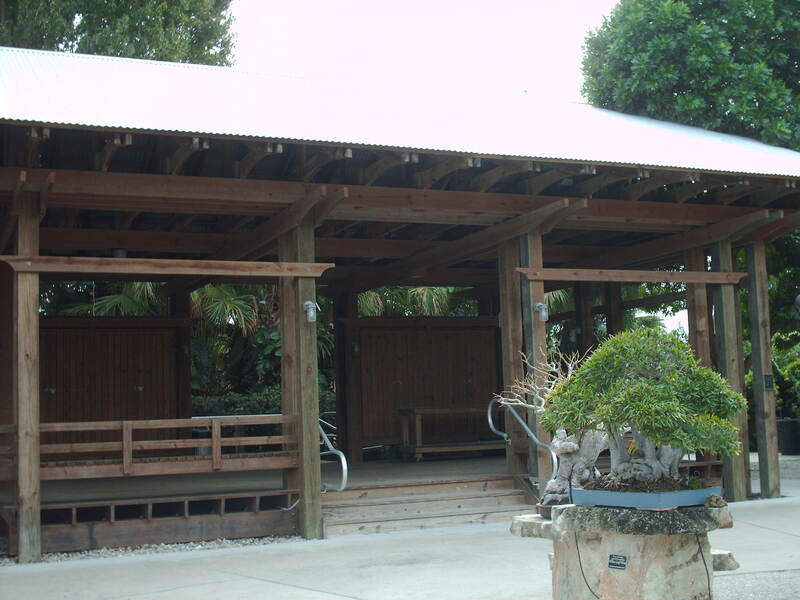 Bring your lunch and eat in the picnic area or on one of the tables on the wrap-around porch. 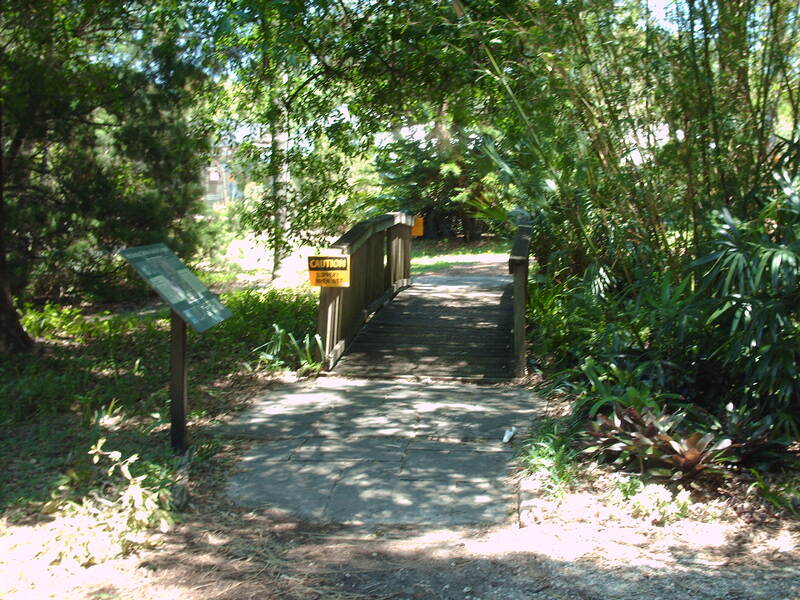 Stroll along the 1-mile East Garden loop or the Native Woodlands Trail. 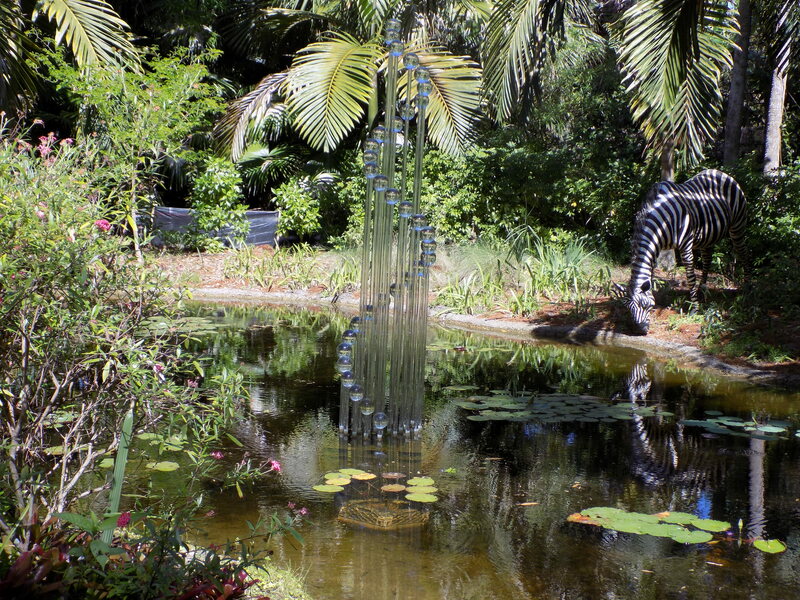 Walk through the labyrinth, stand alongside the different ponds and admire the many garden statues. Numerous gazebos surrounded by beauty. Stand on a bridge and listen to the sound of a waterfall and the water that runs through the rocks underneath the bridge. 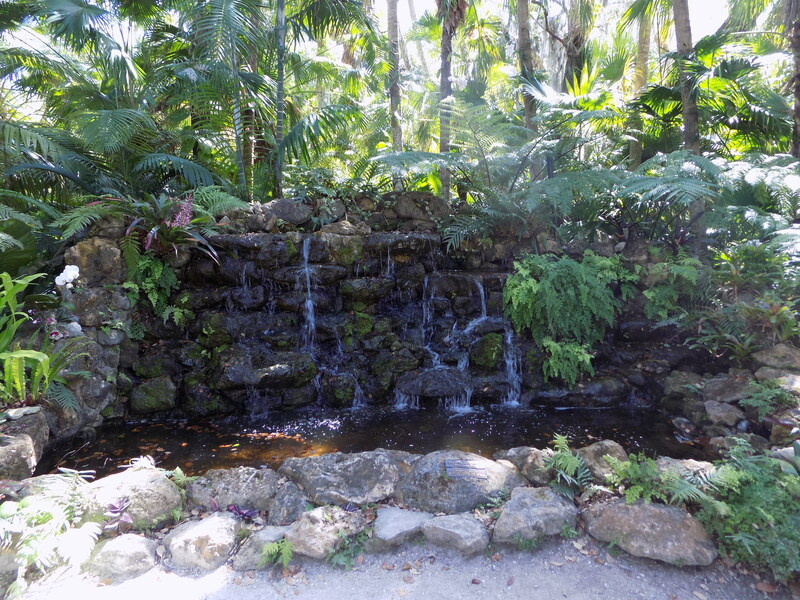 Four waterfalls encompass the Water Feature Gardens a ½-mile area. 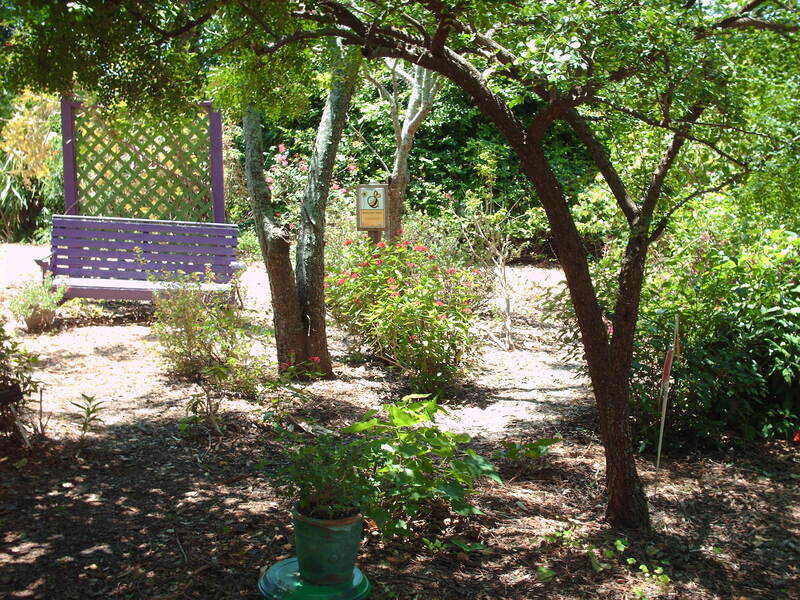 Twenty specialty gardens throughout Kanapaha, I can’t list them all. I recommend a return visit. Hours, fees and rental space for weddings and other events available on the website. 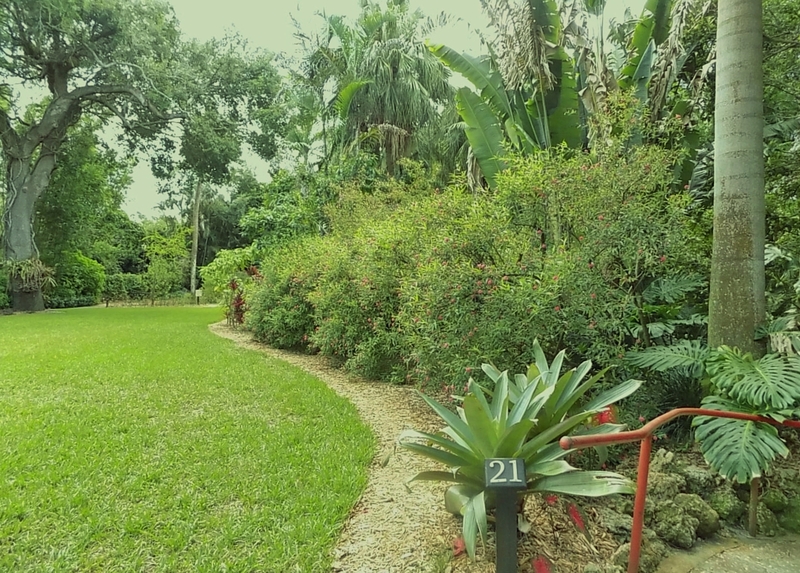 Discovery Gardens located at 1951 Woodlea Road in Tavares. Ponds, garden statues and fountains throughout the gardens. 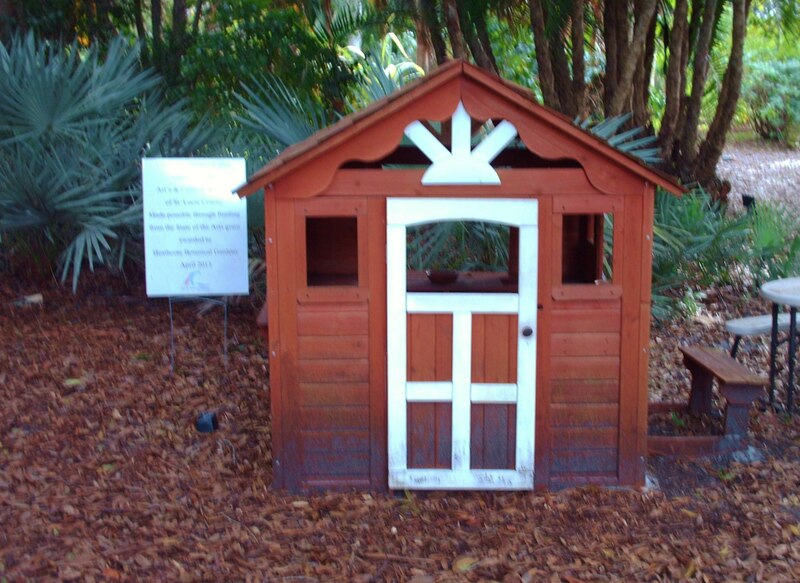 From the Backyard Habitat to the Southwest Garden signs or maps help identify each garden. The Persian Shield a shrub native to Myanmar, the Variegated Shell Ginger and the Rangoon Creeper both native to Asia all along the path. 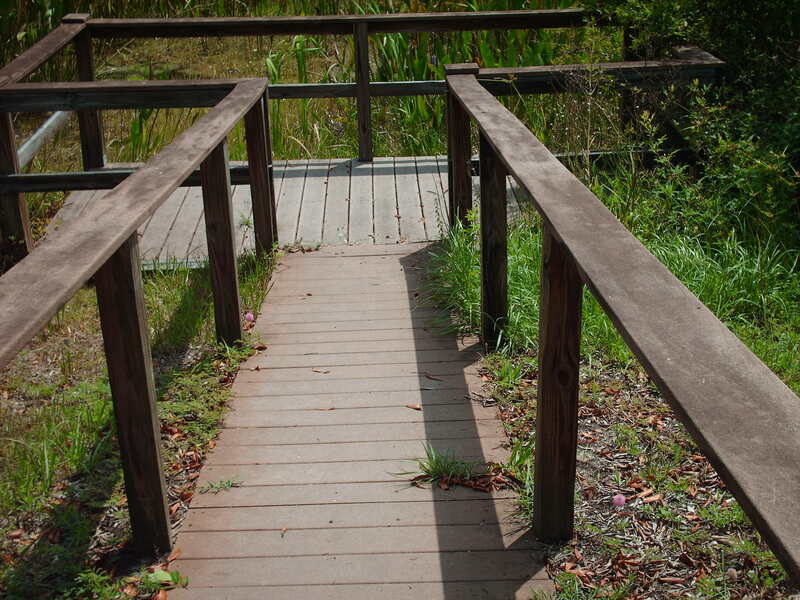 Stand on a bridge and admire the many plants native to Central Florida Freshwater Wetlands. The Water Hemlock a perennial herb that grows up to 8 feet. A Red Maple that grows well in swampy areas that can grow to 50 to 60 feet. Sit on a bench donated by individuals or clubs. Have a picnic on one of the tables. 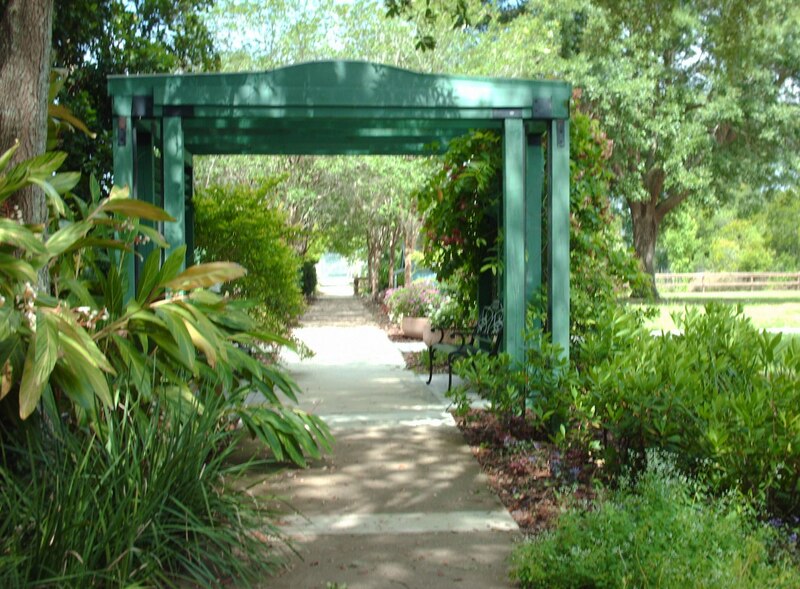 Sit in a gazebo, relax and admire the native plants in the landscape garden. 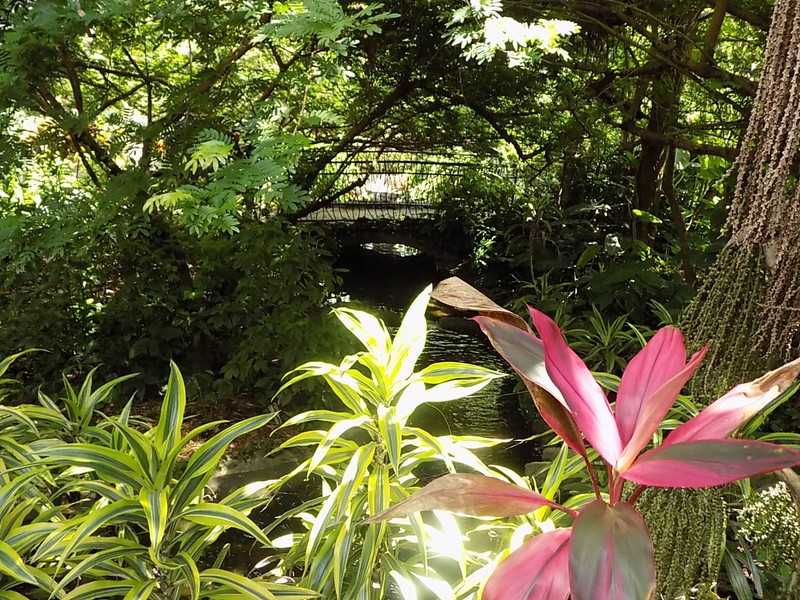 A canopy of plants and trees in the Tropical Shade Garden. 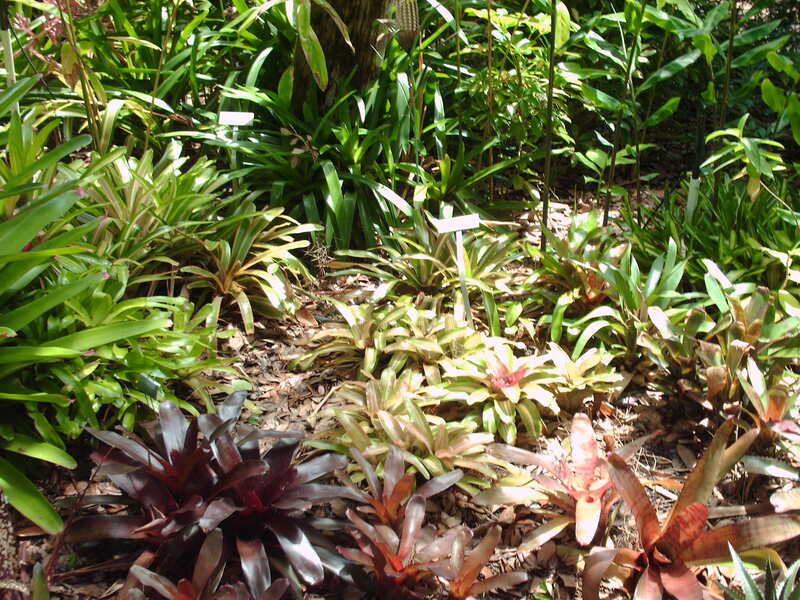 Walk through the mulch lined walkway and admire the Xanadu, a Philodendron, Coontie, a plant native to Florida and Indian Head Ginger native to Central and South America. 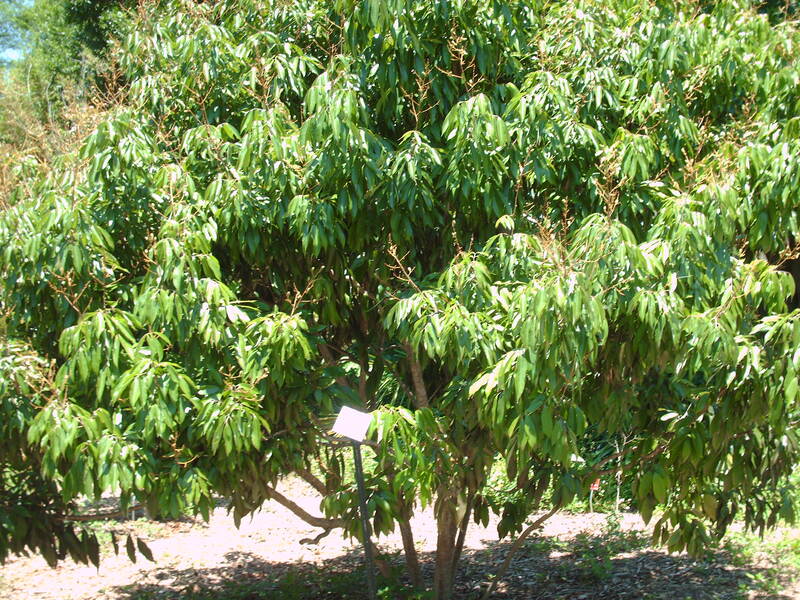 Loquat a fruit tree grown in Japan for over a thousand years but native to South-Central China. Over thirteen gardens and hundreds of plants to enjoy that I can’t possibly name them all. 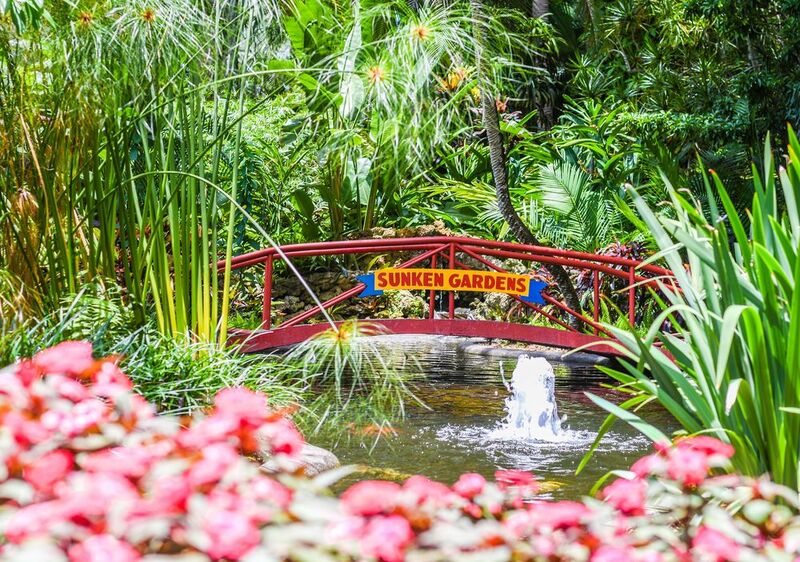 Free entrance to the gardens, hours of operation on the website. 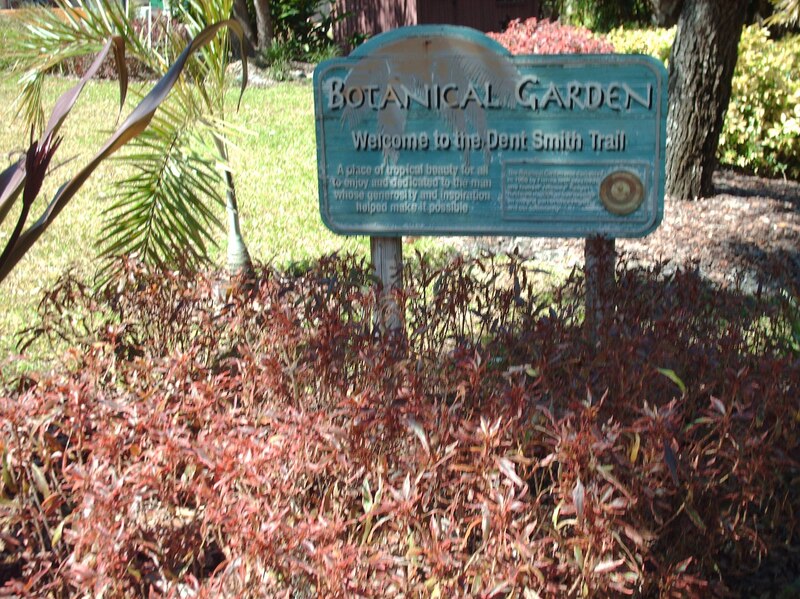 University of South Florida Botanical Gardens located at 12210 USF Pine Drive in Tampa. A monument dedicated to Dr. Roy H. Behnke and Mrs. Ruth Behnke for their devotion and dedication to the university community. 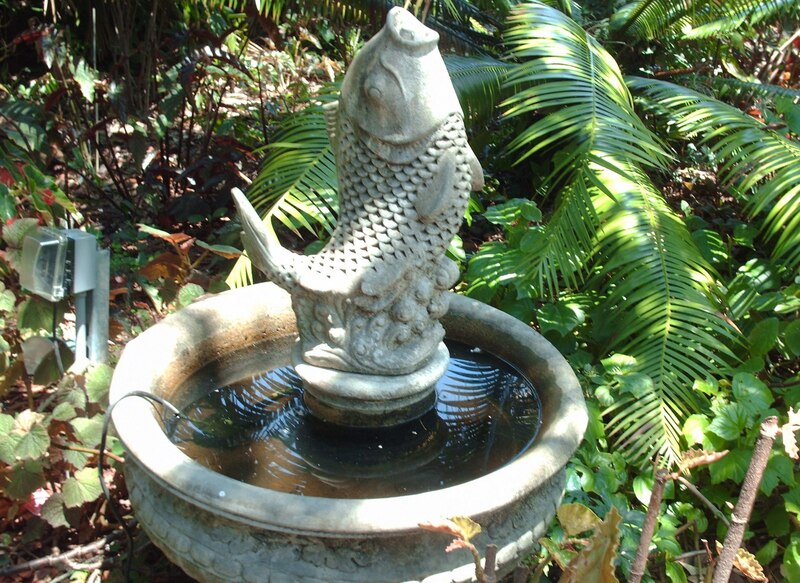 The Fish Fountain was off when we passed by to enter the conservatory. 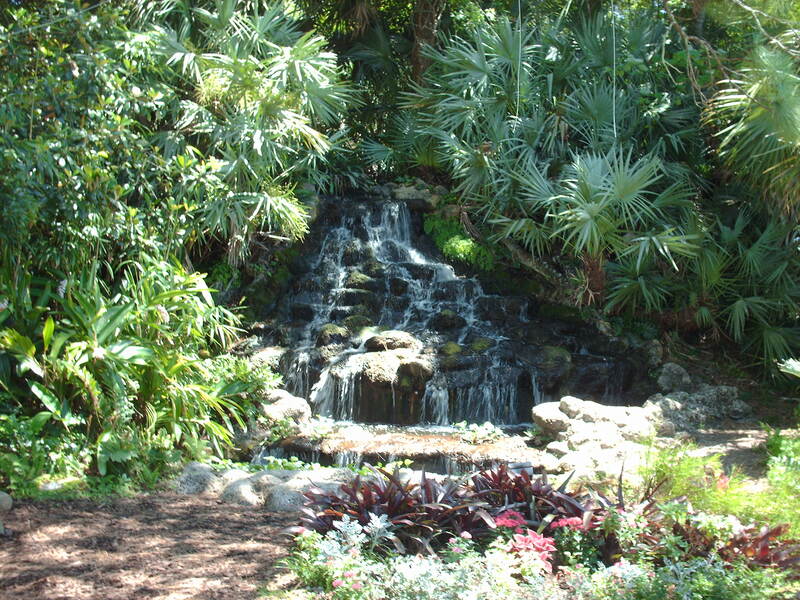 Orchids, begonias, shrubs and trees encircle the pond and all around the conservatory. 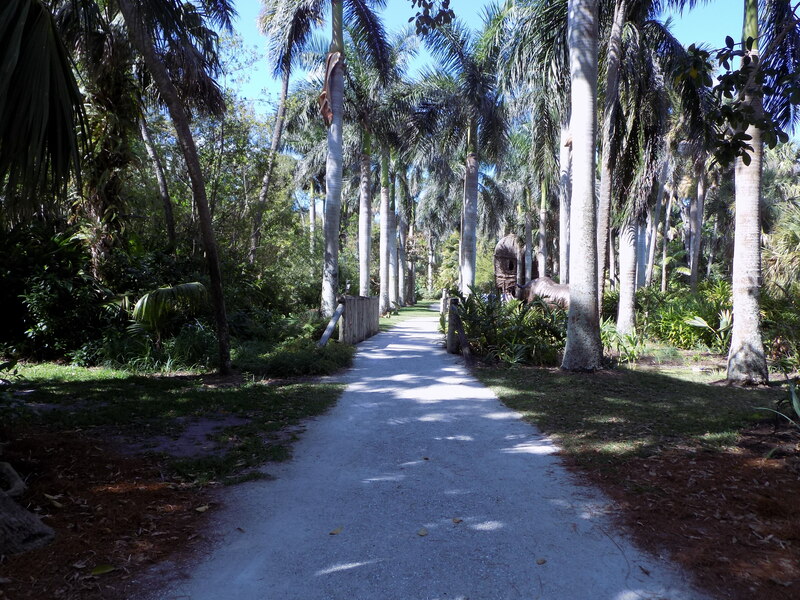 Walk along the brick path in the Shade Garden and admire the Pygmy Date Palm that grows 8 to 10 feet, different varieties of ferns and a Pink Jatropha that blooms year round in mild climate or sit on a bench and relax in the Shade Garden. 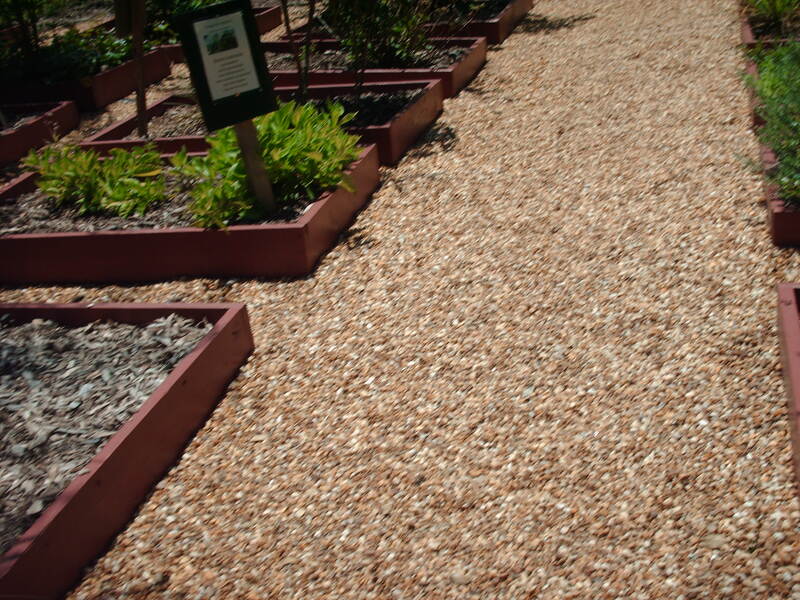 Stroll along the mulch-lined walkway and admire The Bamboo Tree and the Lychee Tree an evergreen fruit tree both native to Southern China. 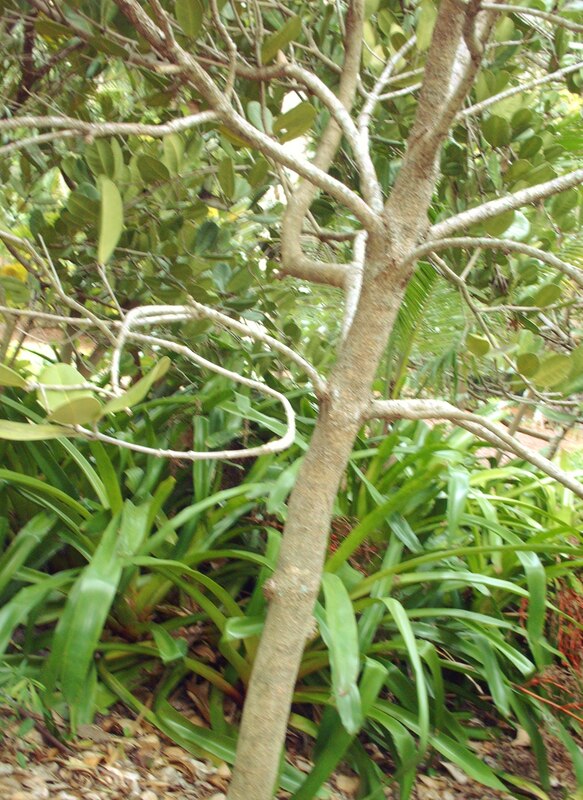 Macadamia Tree, a tropical tree native to Australia grows up to 35 feet and the Neem Tree a medicinal plant native to India. 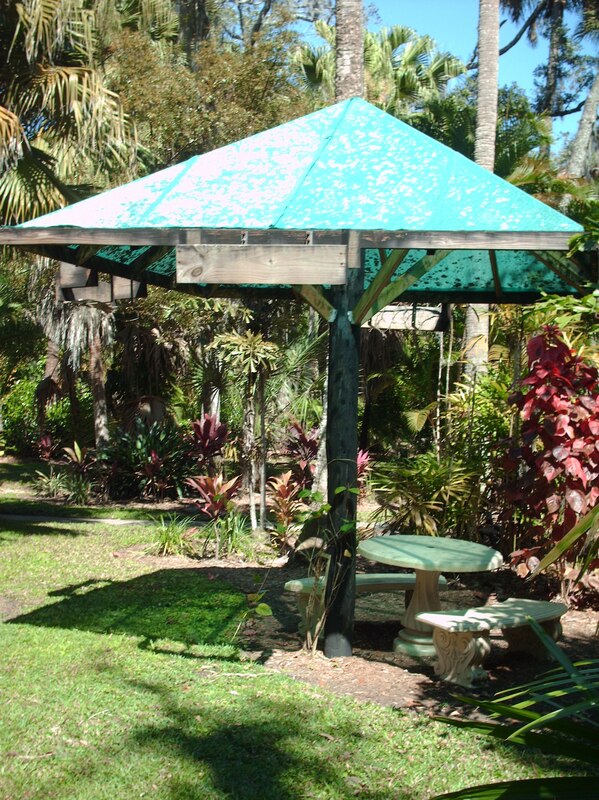 Have a picnic on one of the tables or rent the gazebo for a special event. 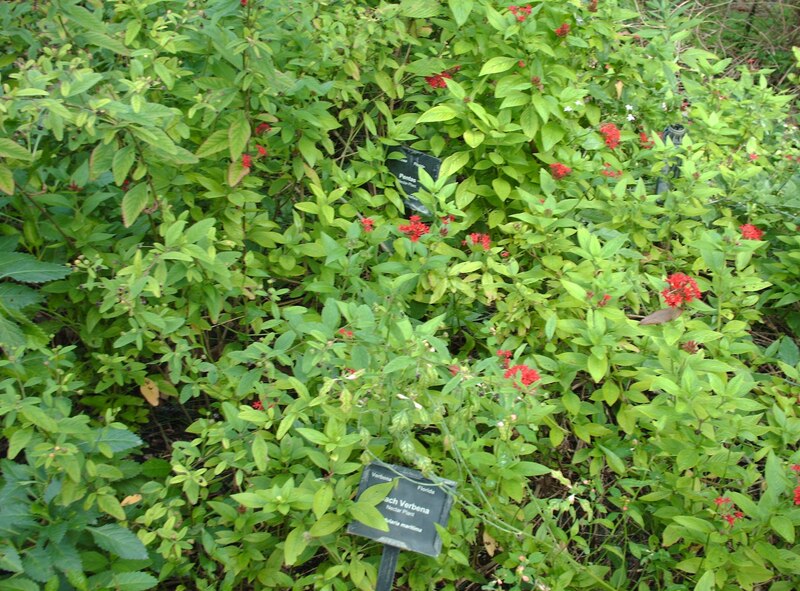 Eleven different plants in the medicinal garden. Take a pamphlet and read about the medicinal uses. 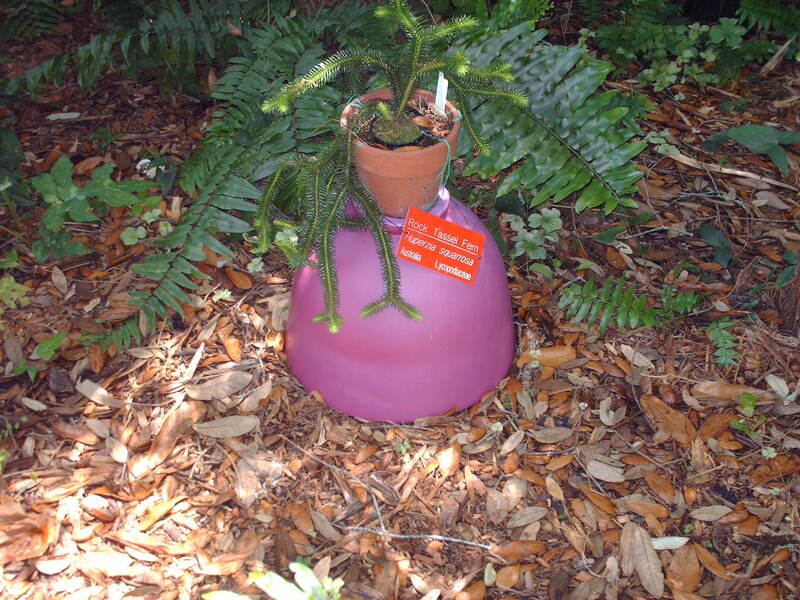 Over six hundred thirty species of Carnivorous plants exist in the world. Take a brochure and read about their life cycle. 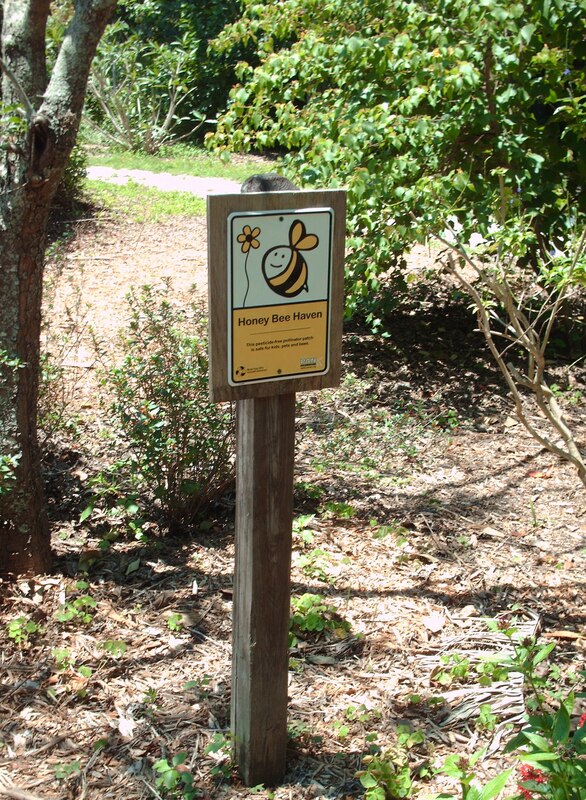 Walk over to the Honey Bee Haven a place for bees and other pollinators. 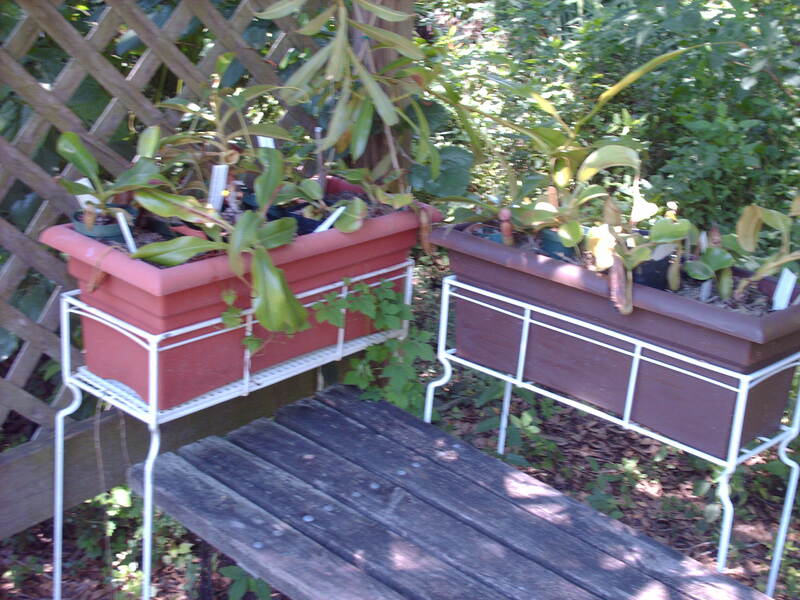 A number of host plants and a good chance to spot butterflies in the afternoon. 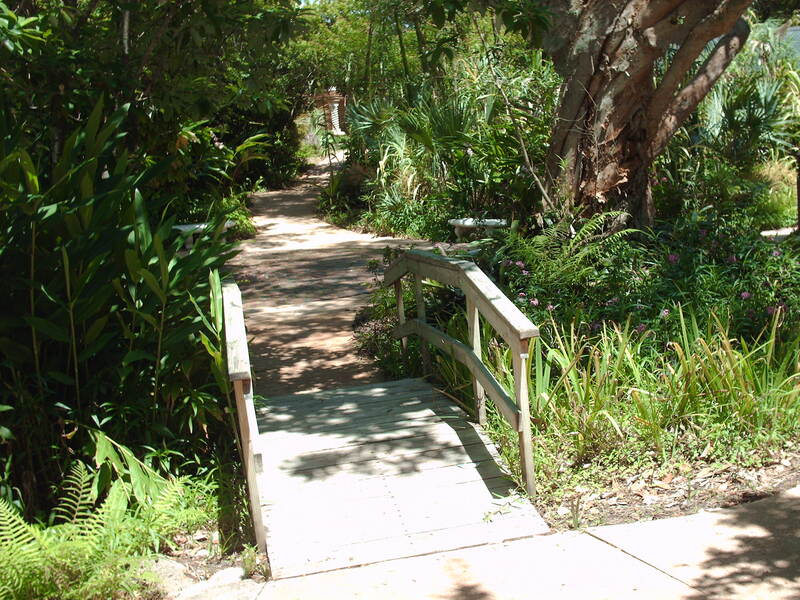 Cross a wooden bridge to the cactus and succulent garden. 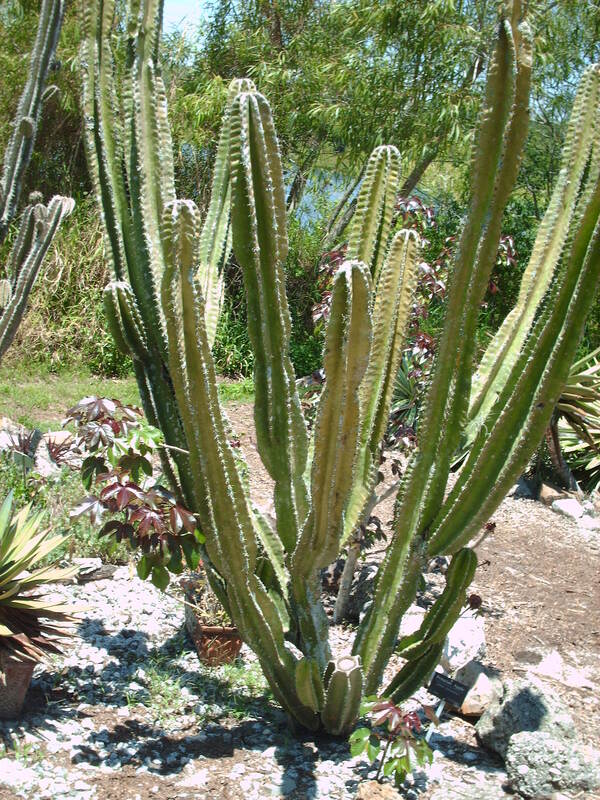 Different types of cactus on display. 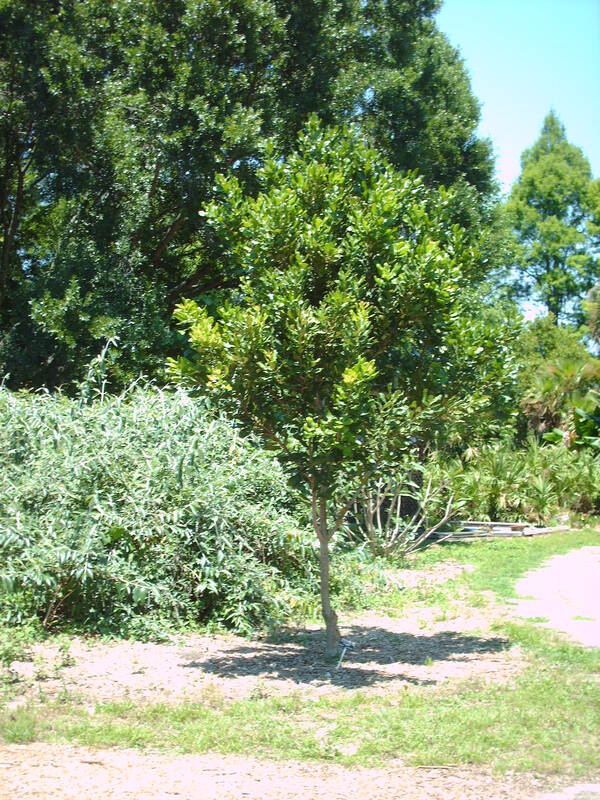 A Peruvian Apple native to South America that can grow up to 33 feet. 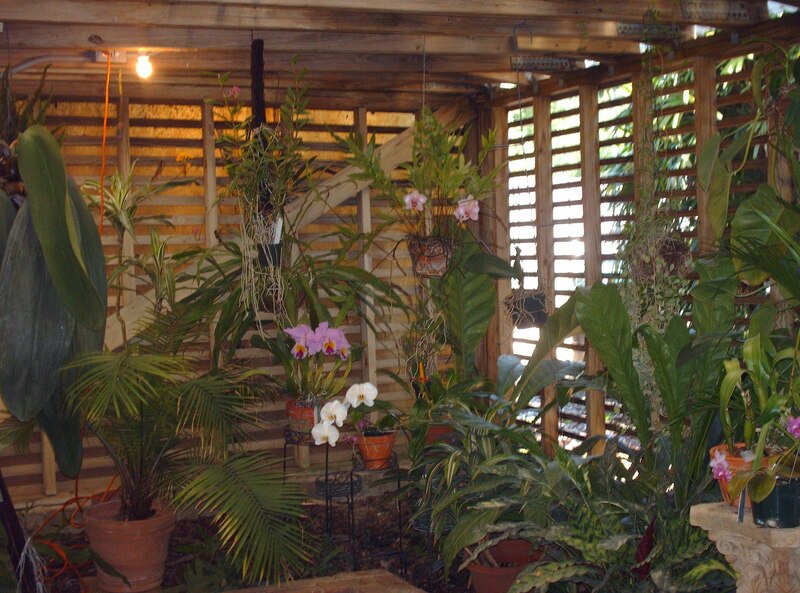 Step inside the greenhouse to see more cactus and succulent plants. 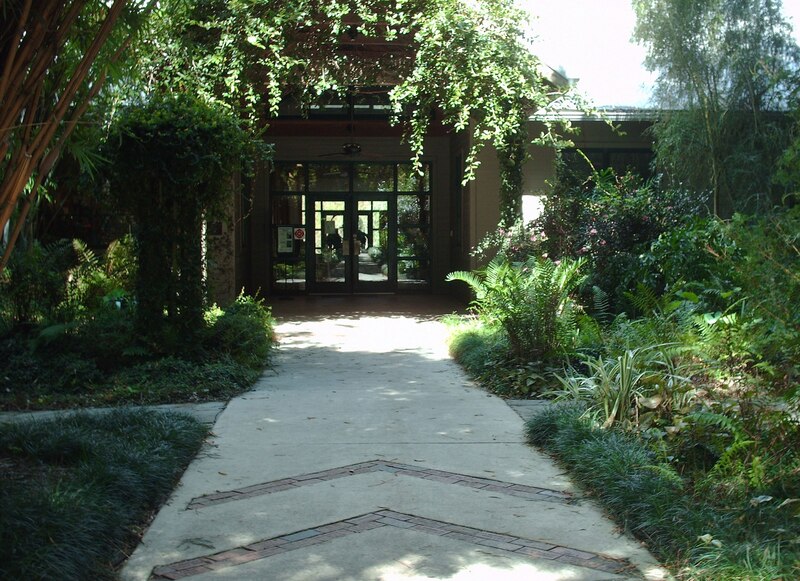 Entrance fees to the botanical gardens, hours of operation on the website. 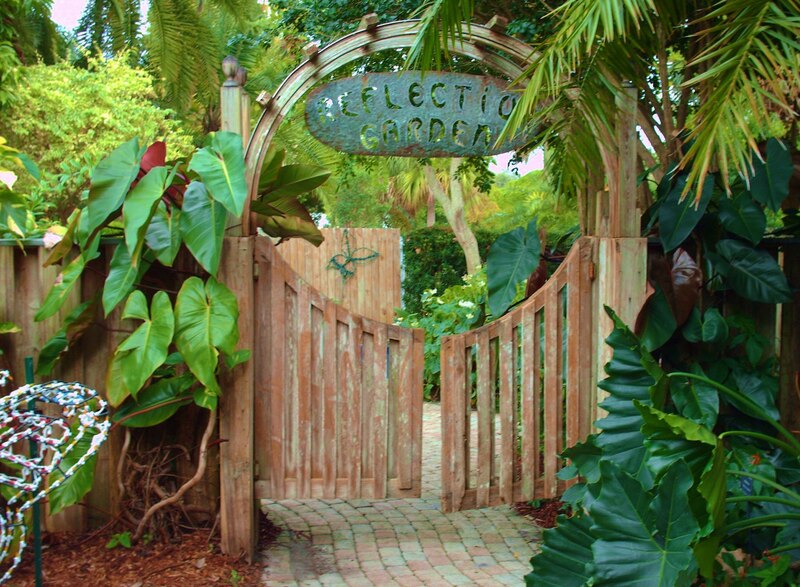 Fall is a good time to visit Heathcote Botanical Gardens located at 210 Savannah Road in Ft. Pierce. Founded in 1960 by Mollie and Jim Crimmins. 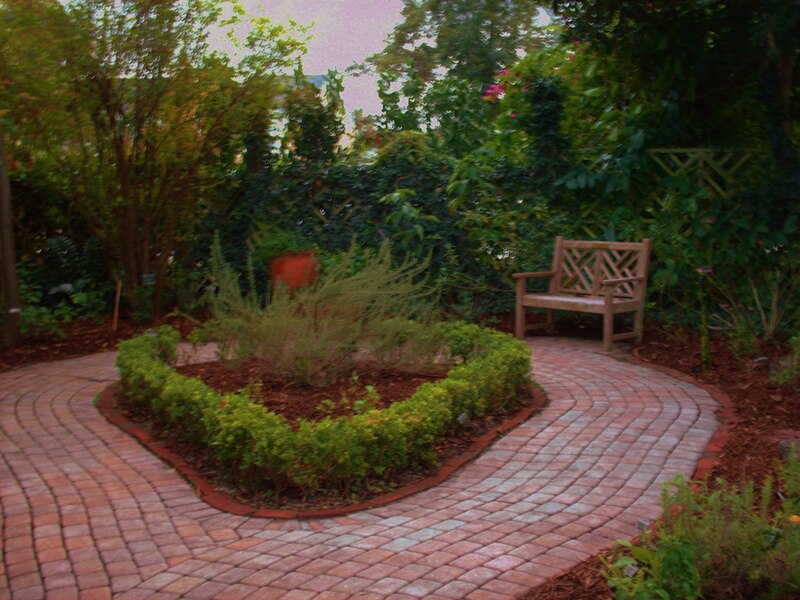 Meander on a brick path through a trellis to the Herb Garden. 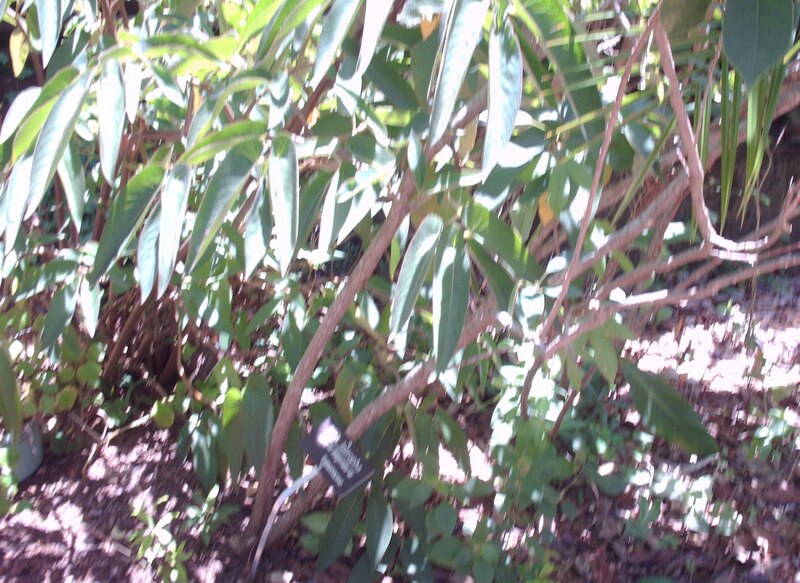 Bay Rum and Allspice Trees native to the Caribbean both used in cooking. 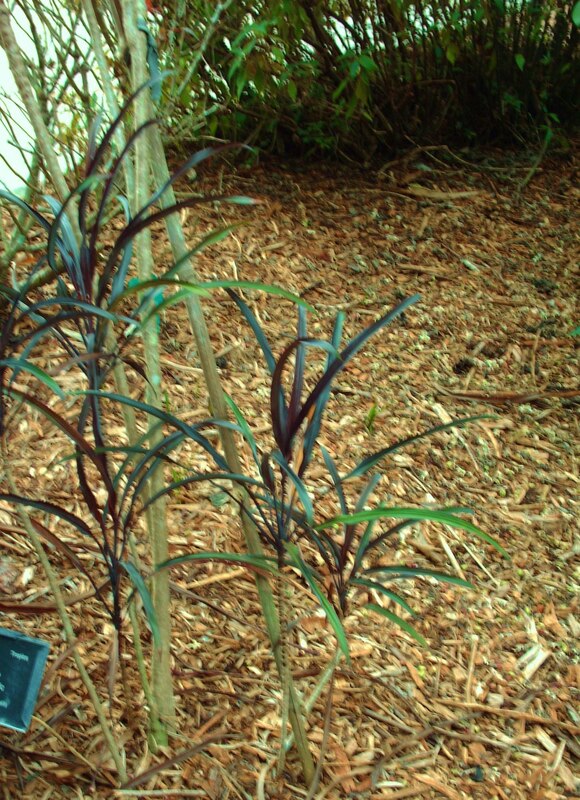 Salvia Indigo Spires used as an herb and a Pomegranate tree native to Persia known for its health benefits. 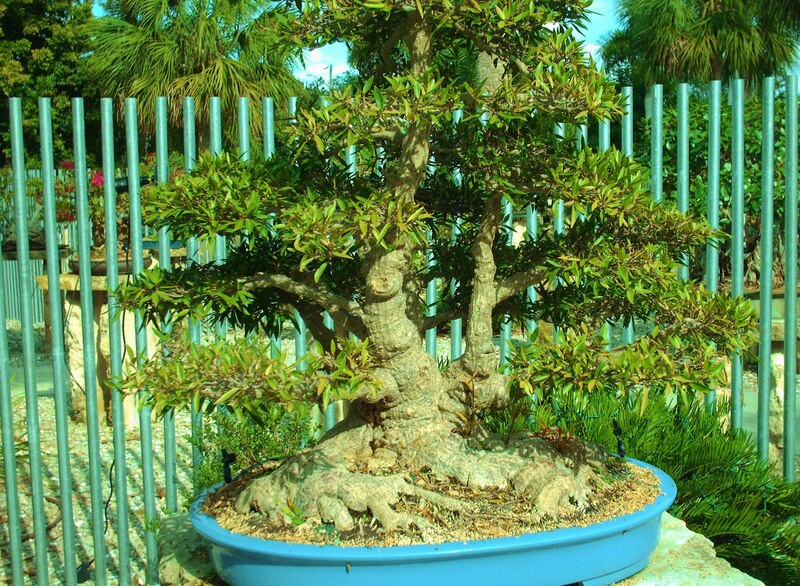 Bonsai, a Japanese word that means “Tray Cultivation.” The Bonsai Gallery dedicated to James P. Smith, Bonsai Master. 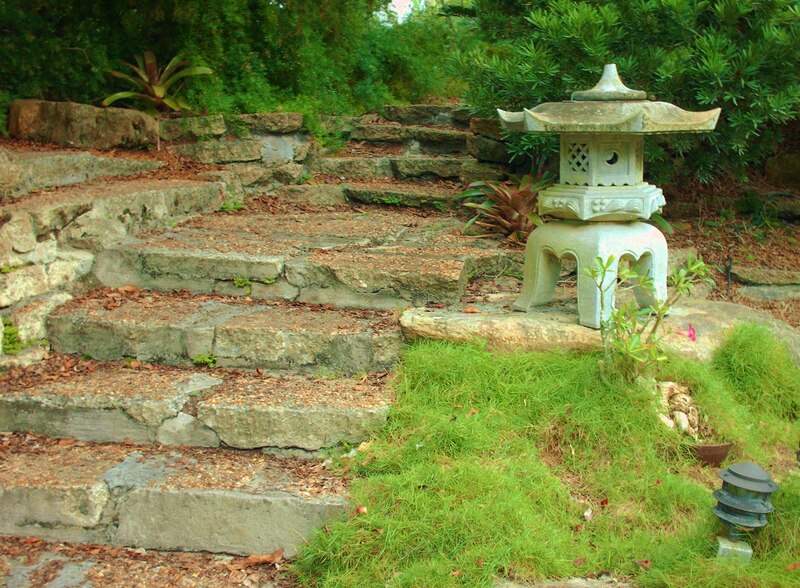 Walk along the path and admire the 100 Bonsai trees that grow in the garden. 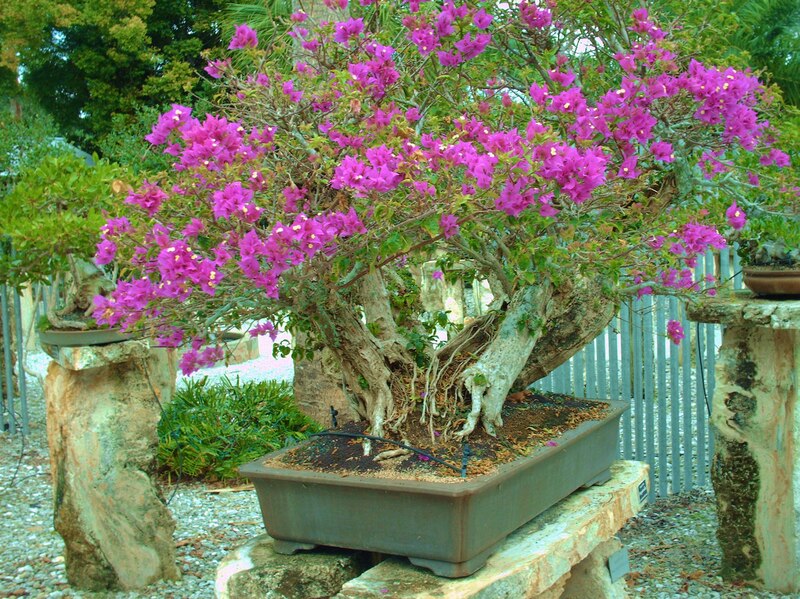 Weeping Fig Ficus, Willow Leaf Ficus, Ficus Retusa and Bougainvillea a few of the trees grown. A Japanese Pavilion on-site as part of the garden. Many different sizes of Tillandsias air plants displayed at the entrance of the Japanese Garden. Japanese lanterns, a Dwarf Buddha’s Belly Bamboo plant and a statue of a Buddha. 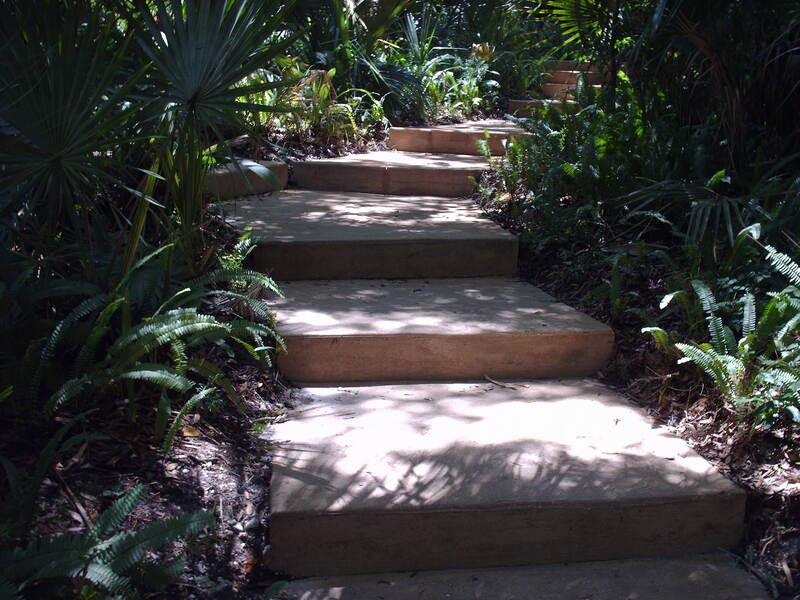 Stone steps form a circle to the top of the lily pond and back down again. 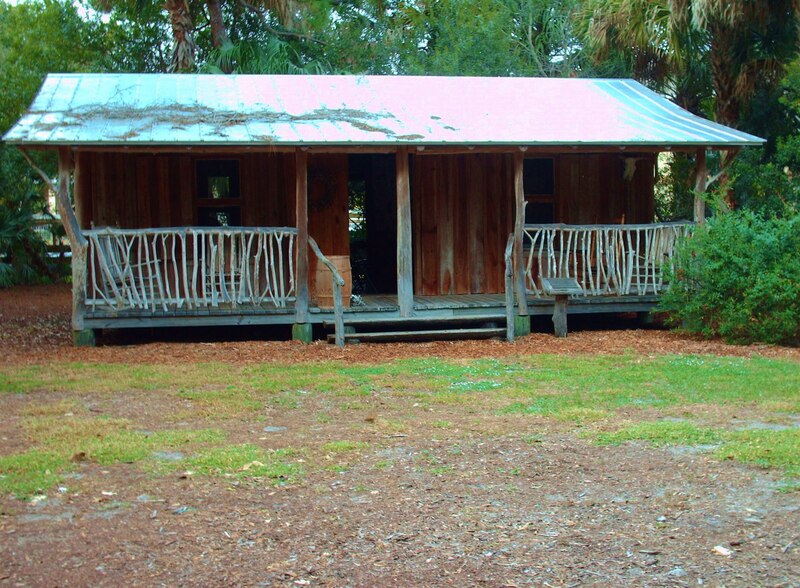 A replica of a 1880s Pioneer House, Children’s’ Pioneer Cabin and a Seminole chicken hut roof. 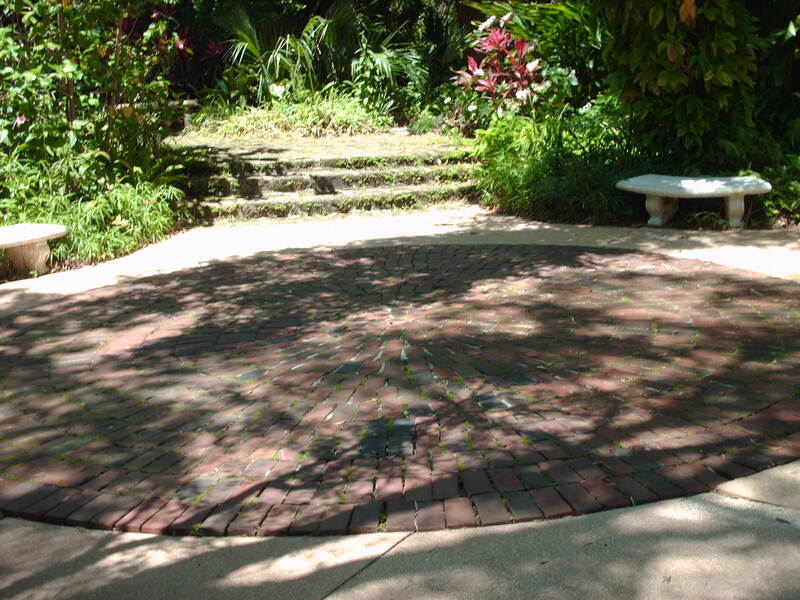 Read the numerous engraved bricks donated on the main path in memory of or in honor of as you walk and admire the many flowers and trees. 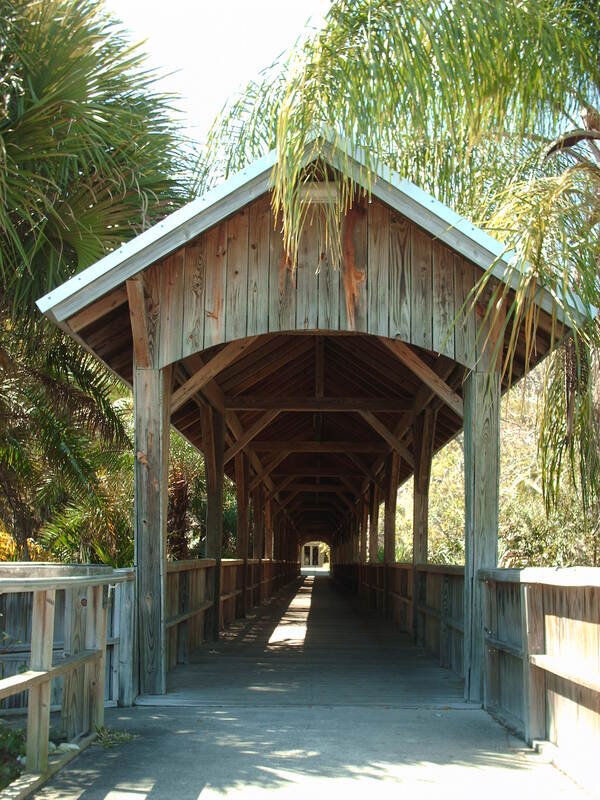 Pass through the trestle to the butterfly garden. 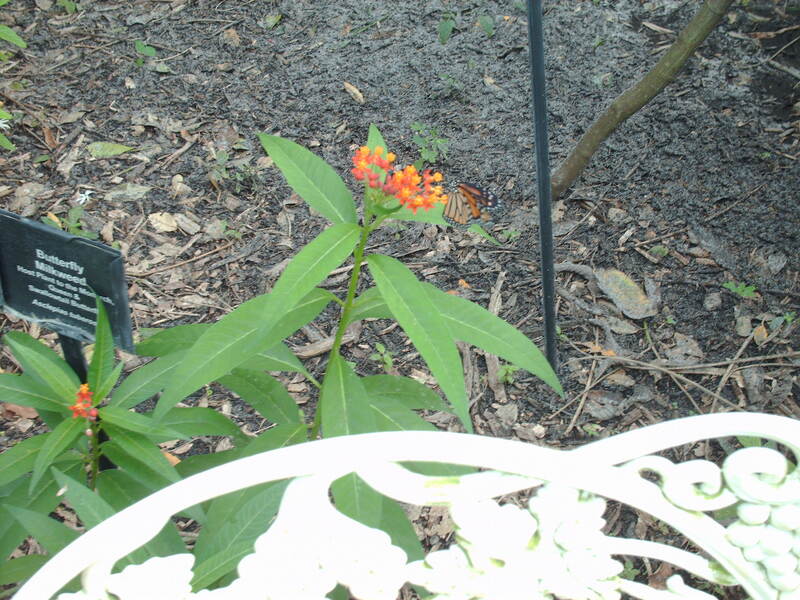 Coontie and Milkweed host plants two of the twelve butterfly hosts (Larval) plants in the garden. Atala a Florida butterfly, Monarch and Pipevine Swallowtail three of the twelve species of butterflies. White Shrimp, Periwinkle Vinca and Yellow tip three of the twenty-five nectar plants that inhabit the butterfly garden. 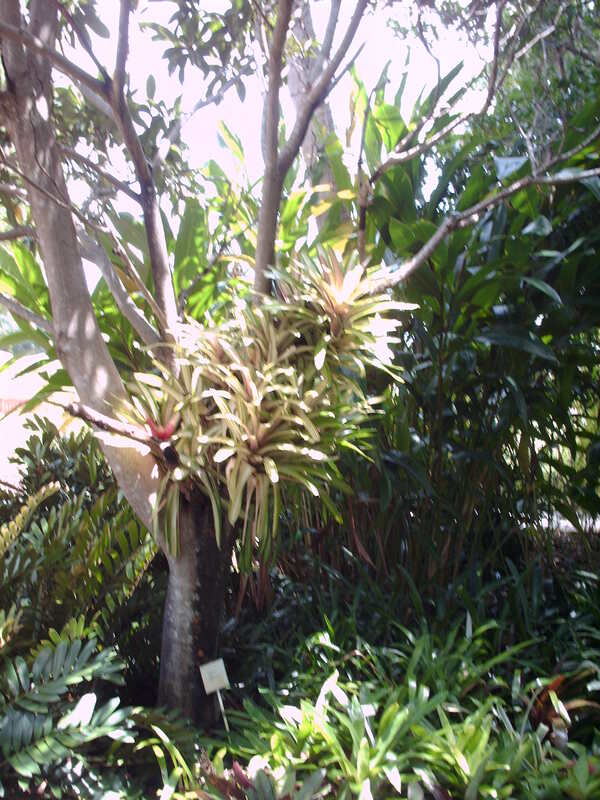 The Autograph, Hong Kong Orchid, White Champak and The Madagascar Olive Tree are some of the trees in the Rain Forest. 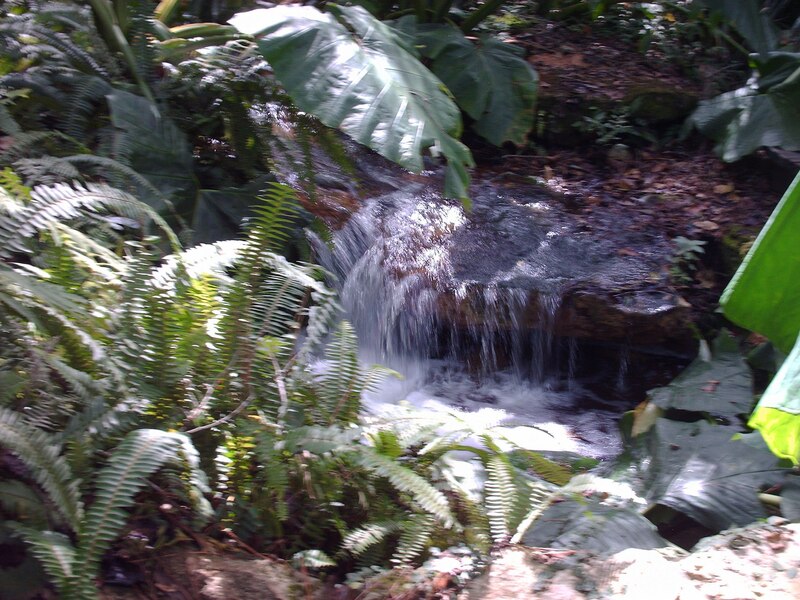 Cross the bridge to view the picturesque waterfall or sit on a bench and listen to the relaxing sound the waterfall makes. 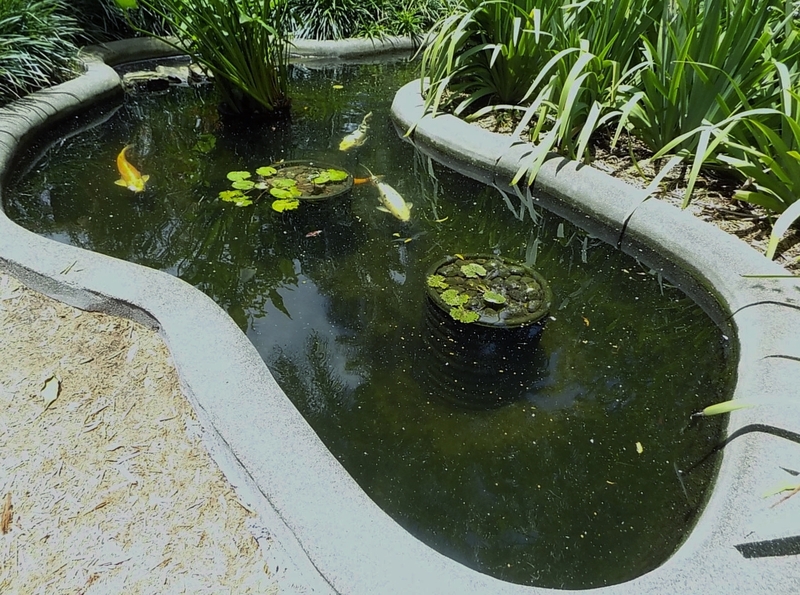 Once the doors swing open at the Reflection Garden, wash away all your cares at the reflection pond. 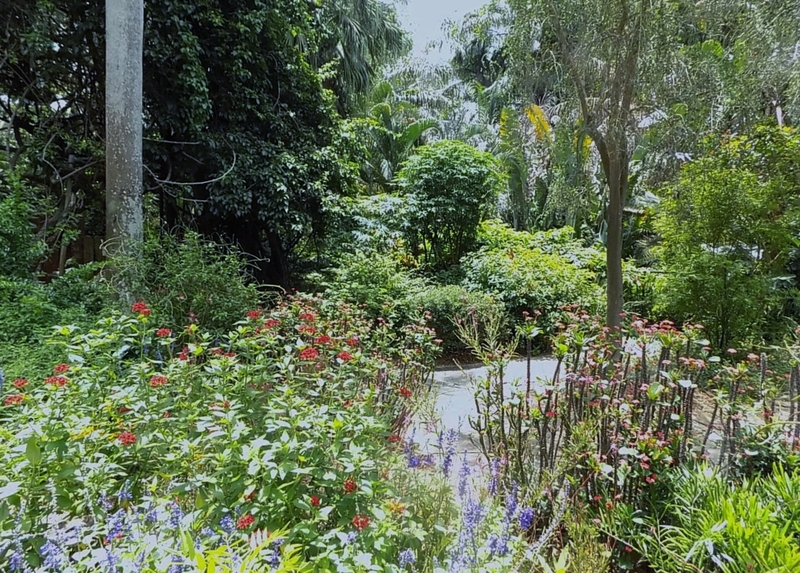 Sit on a bench and reflect, meditate and admire the many plants that surround the garden including the Black Magic Ti Plant a plant with its dark purple foliage and the Milky Way Plant with its yellow polka dots. 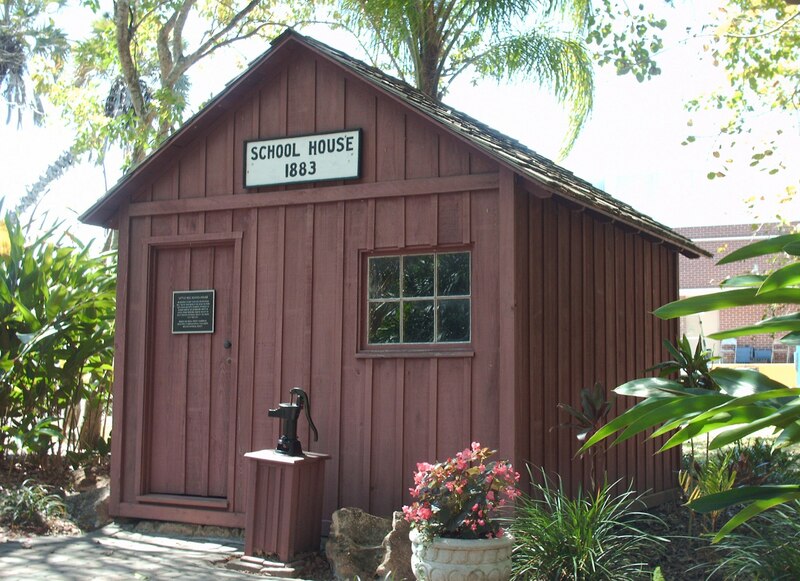 Entrance fees; hours and location on the website. 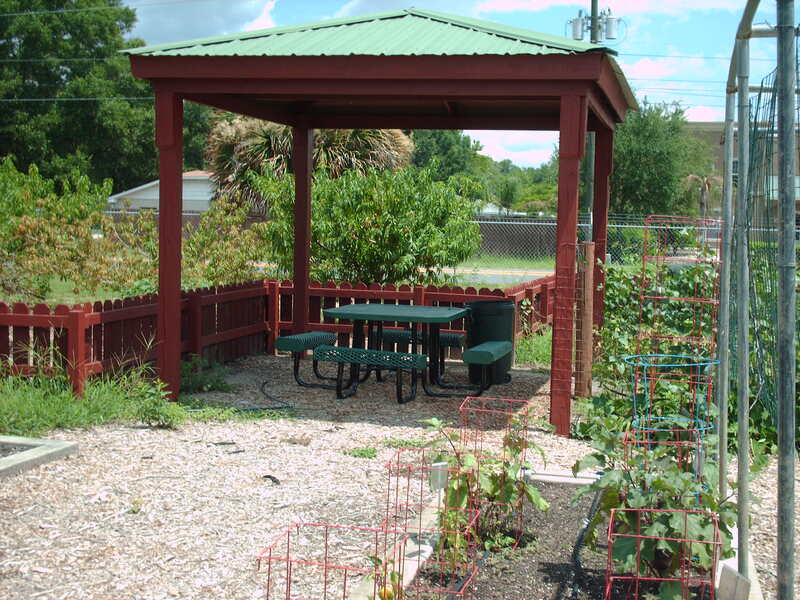 Hollis Garden located at 702 East Orange Street in Lakeland. 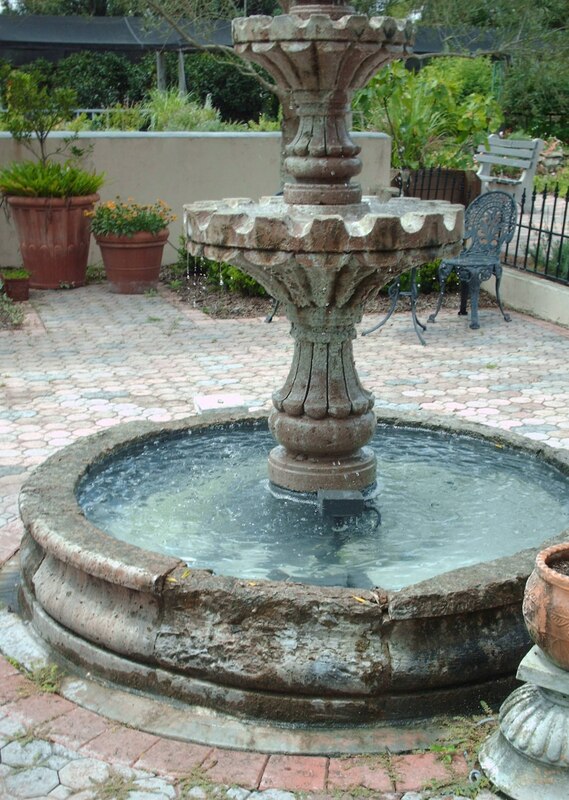 Throughout the garden neatly pruned bushes surround the fountains, sculptures and runnels. Classical music in the background as you walk by “Windows” a sculpture by Robert Wick in the Tropical Room, “Oracle” a sculpture by Jerome Fogle in the Yellow Room and “In Flux: Persistence” a sculpture by Brad Hunter in the White Room. 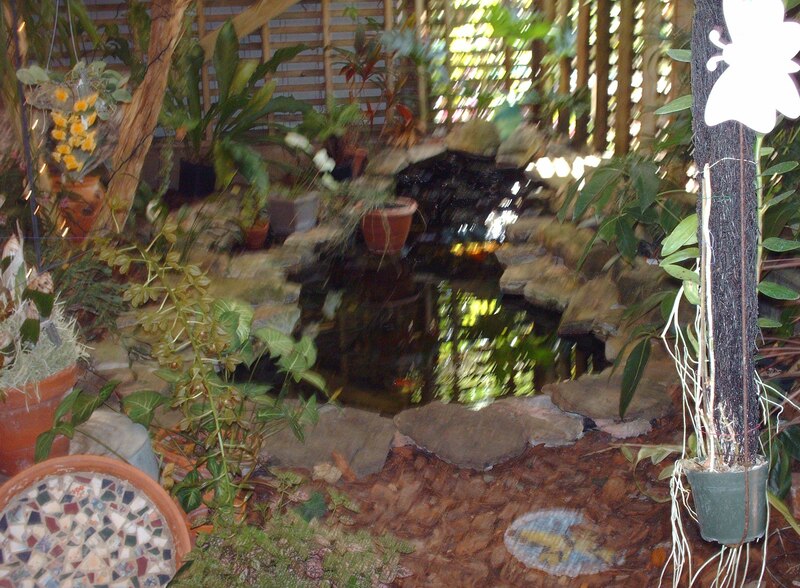 A cavern behind the gazebo shaped like a canopy with a fountain and a lily pond. Red Maple, Andover American elm and a Helen Keller Water Oak along a winding path. 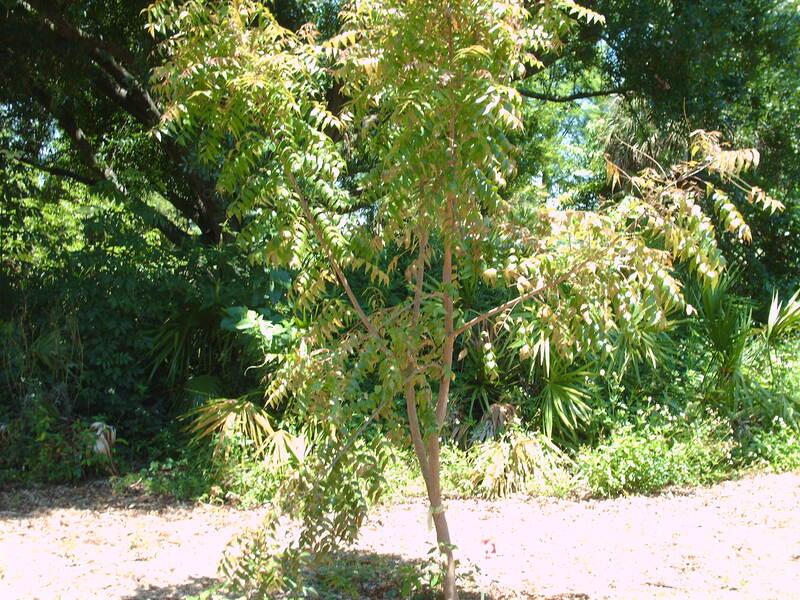 Many native plants provide habitat in the secluded butterfly garden. 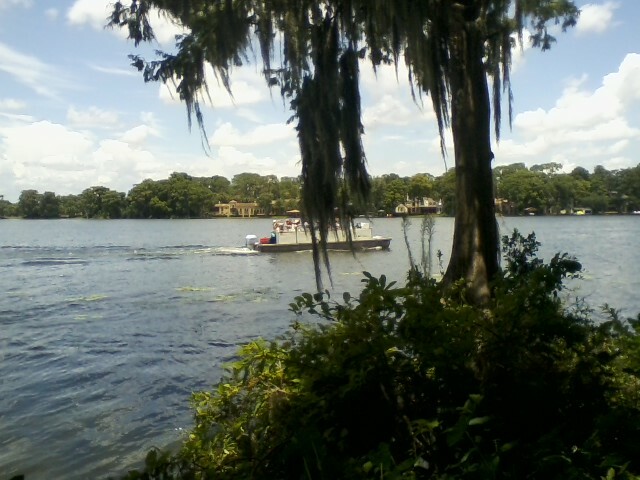 Sit in the gazebo and look out towards Lake Mirror. Feel the breeze while sitting on a bench looking out at the lake or walk along the promenade. Surrounded by beauty a day well spent. 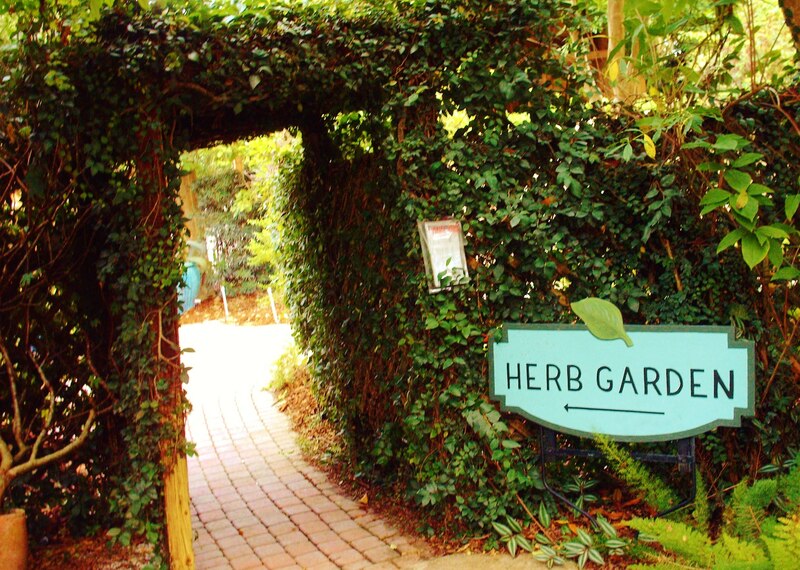 Entrance to the garden is free. 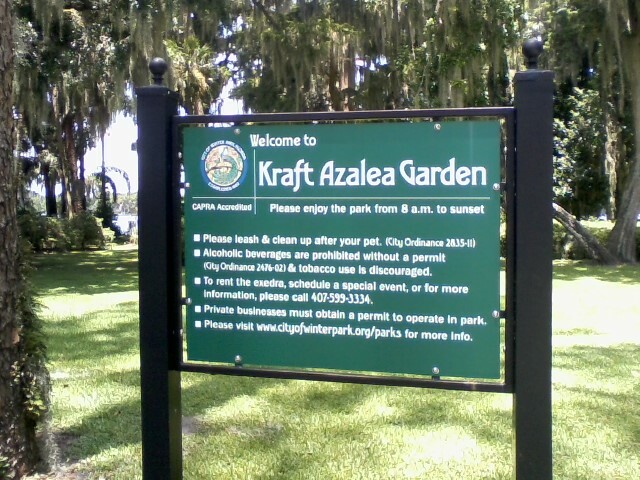 Enjoy a lazy summer day sitting on a bench at Kraft Azalea Garden along Lake Maitland. 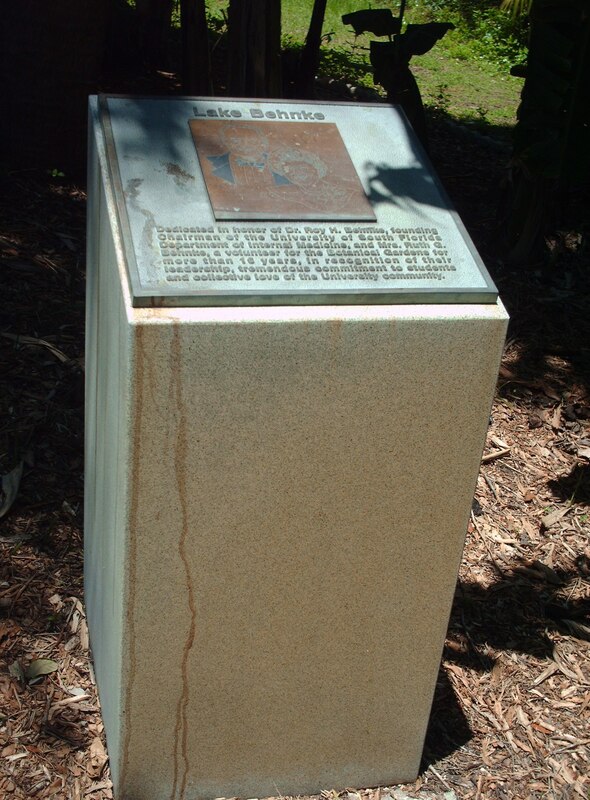 A monument dedicated to Leonard J. Hackney creator of Azalea Garden. 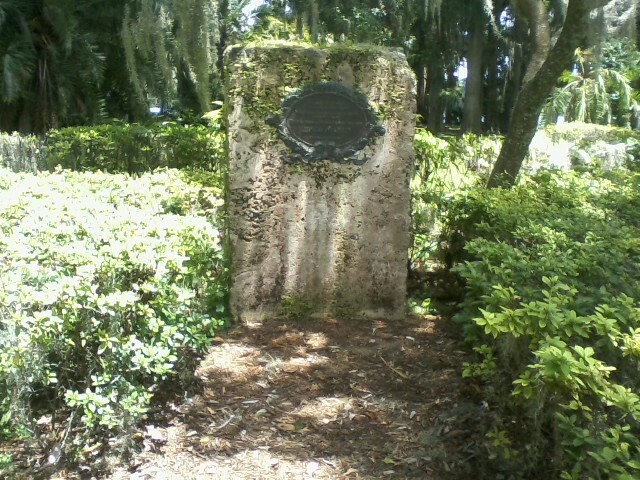 Exedra Monument donated to the city of Winter Park by Kenneth H. and Elizabeth P. Kraft. 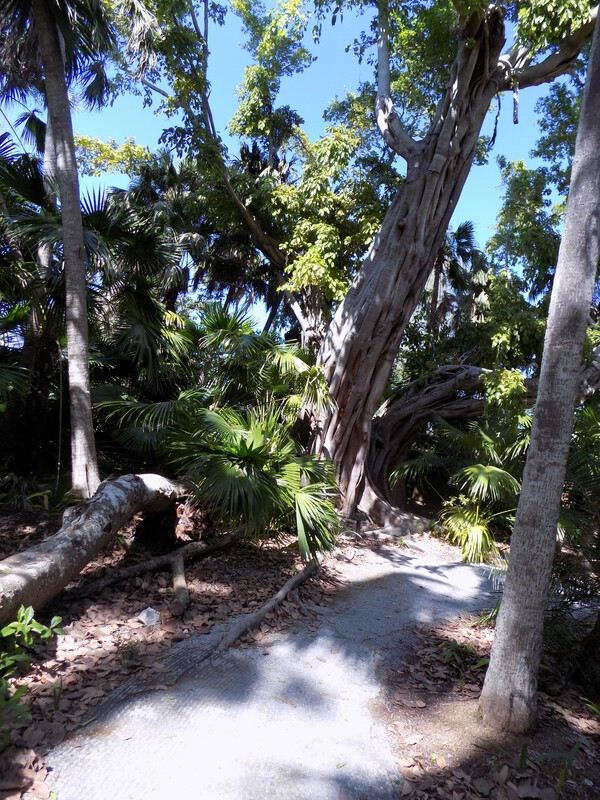 Thousands of Azaleas bloom between January and March, huge Cypress trees and a Banyan tree native to India in the 5.2-acre park. 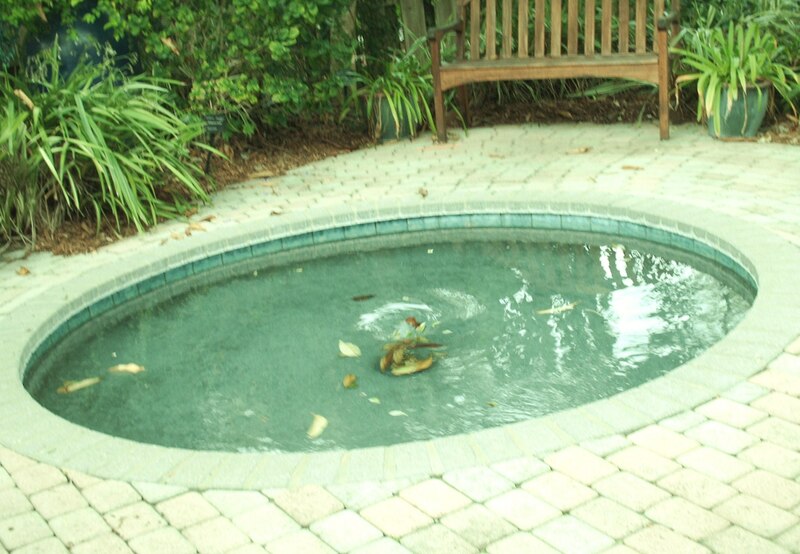 A perfect way to pass the time watching the Great Egret during nesting season in the spring. Watch people skiing, fishing, sightseers on boats and standup paddle boarding or you can sit on the dock, admire the beautiful scenery or listen to the waves made by the boats break along the shore. Phone numbers on the website to schedule an event. 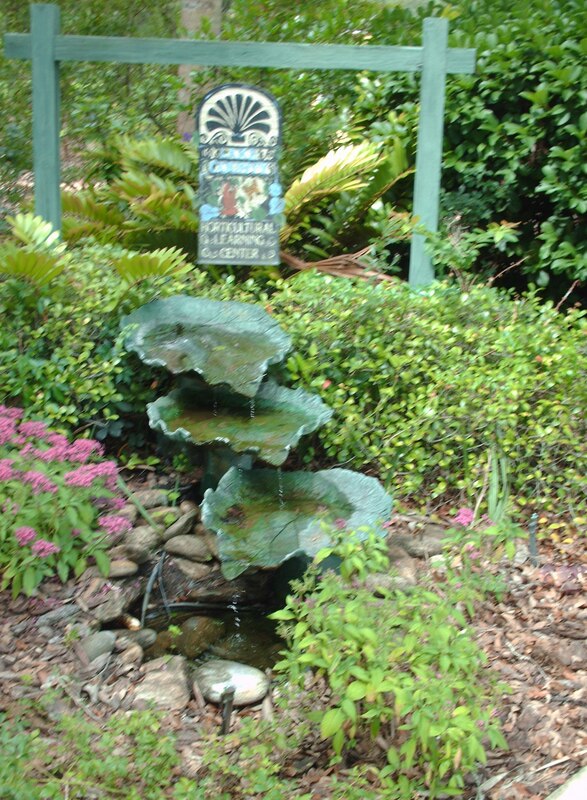 Ormond Beach Memorial Art Museum & Gardens located at 78 East Granada Boulevard. The museum was closed so I walked around the gardens. Open from sunrise to sunset seven days a week dedicated to the veterans of World War I and II. 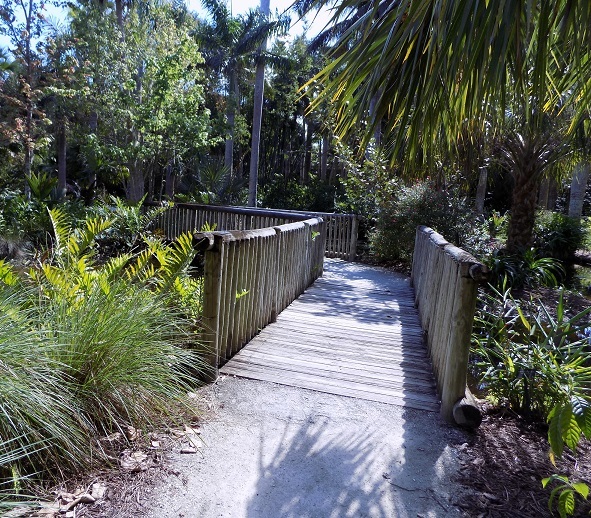 Many pathways, a wooden bridge and ponds encompass the area. Lush foliage surround the waterfall, you can walk to the top. 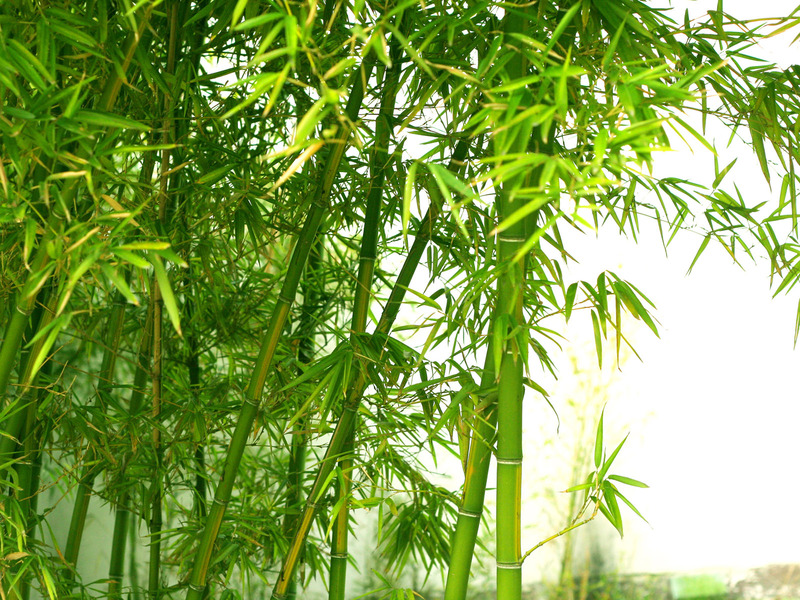 The bamboo trees are so tall that they bend and crackle. 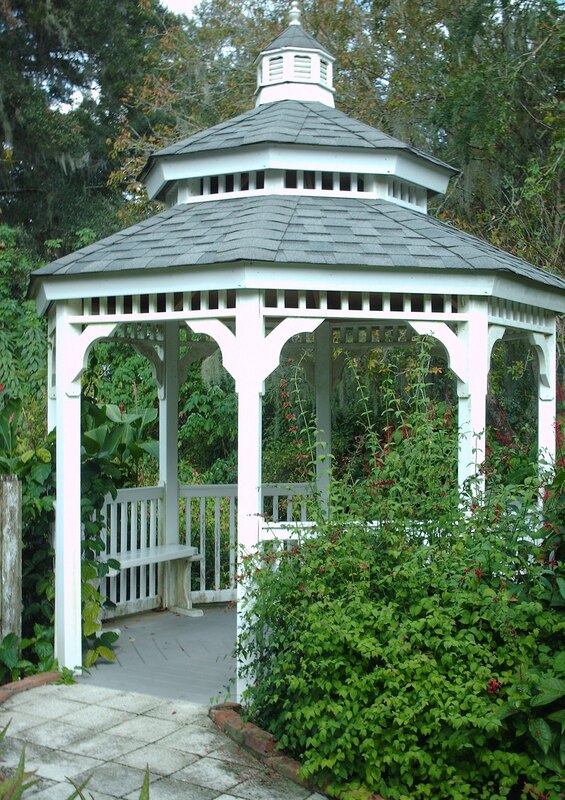 A gazebo for relaxing in the shade. 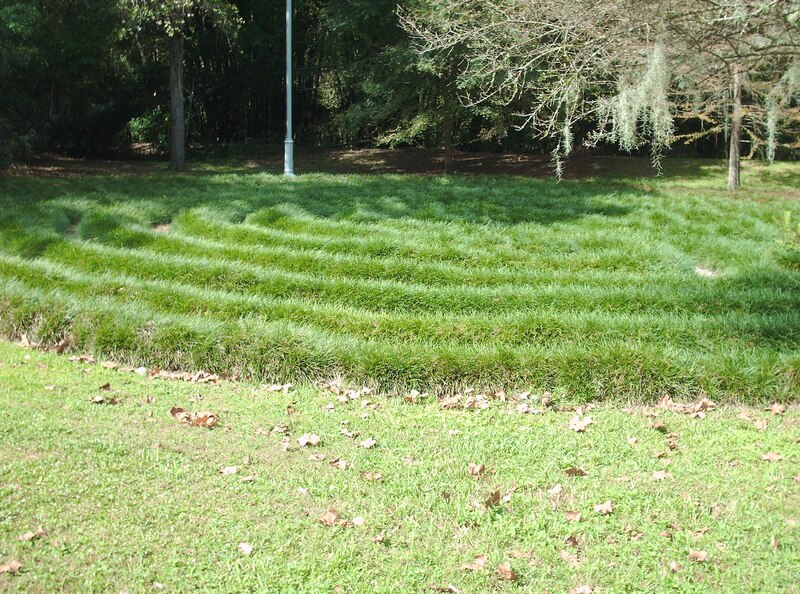 Walk across the bridge to experience The Labyrinth Walk described as an ancient symbolic tool for healing and wholeness. 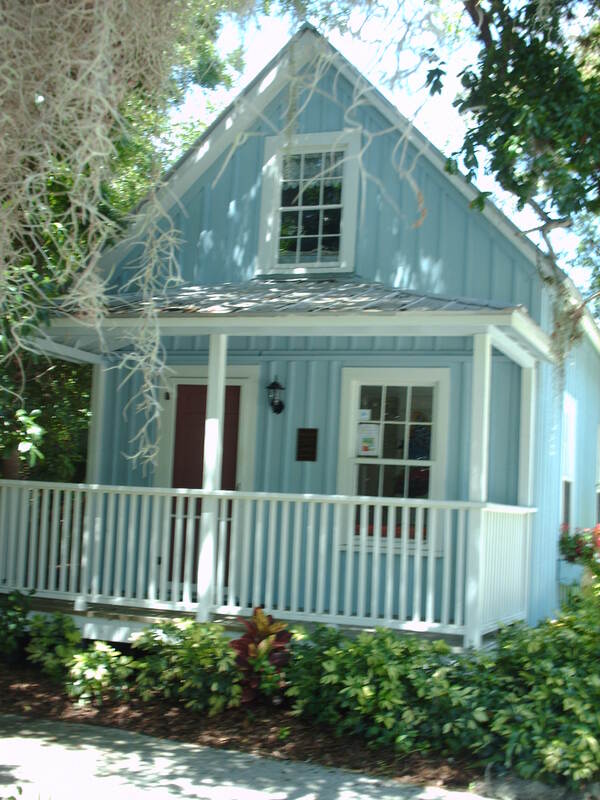 Emmons Cottage a pioneer home built in 1885 an Ormond Beach Historic Landmark used for special events. Check the website for hours of operation if combining the art museum with the gardens.